There’s plenty of ways to spend fun days out in Liverpool even if you are visiting the city midweek. 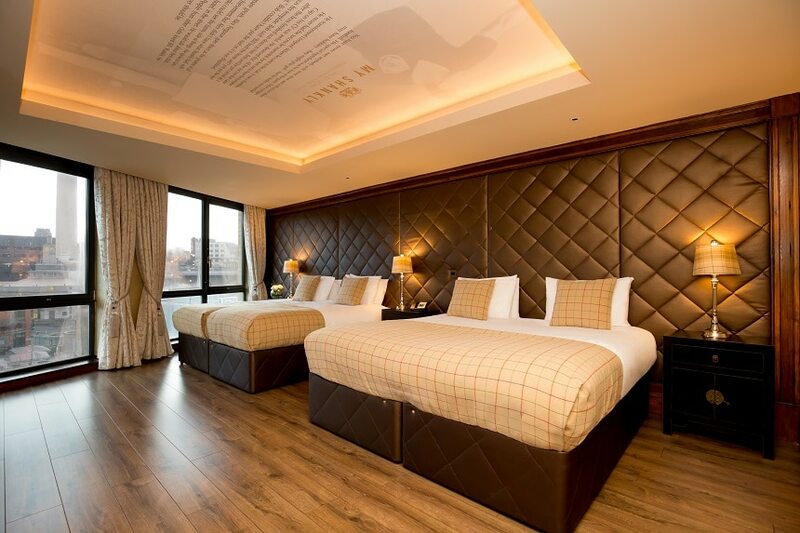 Whether you are planning a trip to Liverpool with the family, friends or someone special, The Shankly Hotel has some magnificent offers to help you on your way. So, here are some of the fun ways to spend days out in Liverpool during the week. During the weekend, Liverpool’s museums and galleries can be jam-packed with people making it difficult or less enjoyable to take a leisurely visit. 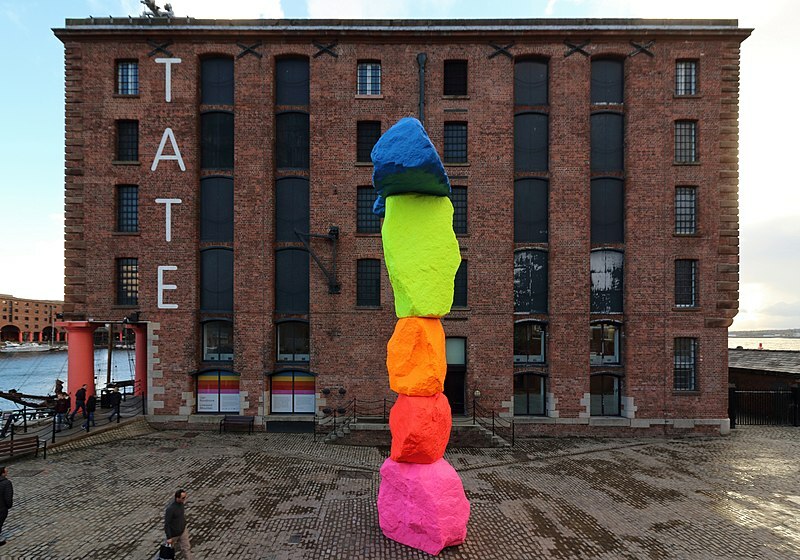 Instead, plan your trip to Liverpool midweek and take your time strolling around the exhibitions at the TATE or check out some fabulous photography at the Open Eye Gallery. From The Shankly, guests are within a stone’s throw of the Walker Art Gallery and World Museum on William Brown Street. Here you can enjoy discovering oodles of world culture from ancient civilisations to the world of dinosaurs and more amazing artwork collections! Come rain or shine, there are plenty of museums in Liverpool all of which are worth a visit midweek. Pop into the Merseyside Maritime Museum to see a vast collection of seafaring memorabilia, exhibitions and demonstrations linked to Liverpool’s maritime heritage – or why not hop on over the Mersey to see the stunning Lady Lever Art Gallery in Port Sunlight? A monument in itself, the Lady Lever Art Gallery houses an impressive collection of sculptures and ancient furniture, weaponry and artwork that was once collected by Lord Lever himself. All these fun days out in Liverpool are easy to reach from the comfort of The Shankly Hotel and better still – they’re all free! Liverpool is a city known for its unique style; the lads and lasses here move to the beat of their own drum when it comes to dressing themselves and because of this, there’s a wide selection of places to indulge in a little retail therapy. For those whose idea of a fun day out in Liverpool involve combing through rails and rails of fabulous clothing, make your way over to Liverpool One. 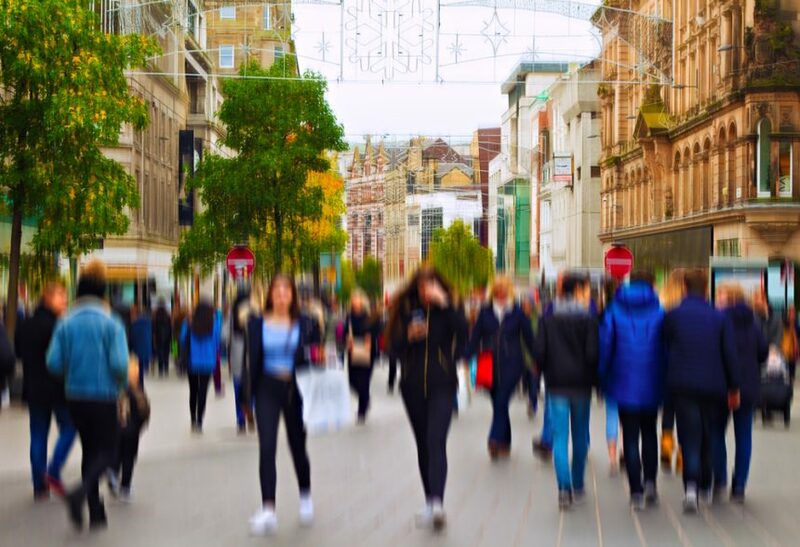 Liverpool’s largest shopping experience has streets filled with the top high-street fashion and apparel stores, as well as places to stop and have a cocktail break or grab a bite to eat. If you prefer to purchase your clothing from finer quality outlets, make your way to Peter’s Lane where you’ll find the likes of Whistles, Harvey Nichols, The White Company and Michael Kors. 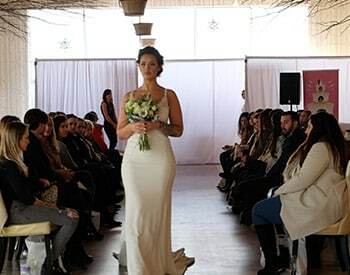 There are plenty of places to spend those hard-earned pennies on the perfect fashion purchase! Others who might have a quirkier sense of style and enjoy trawling through handfuls of vintage garb can take a walk up and down Bold Street where the streets are lined with boutique and vintage clothing stores that have everything from fashion and accessories to books, art and music. Shop ‘til you drop in Liverpool when staying at The Shankly Hotel, where you can drop in and out as you please thanks to its superbly central location. 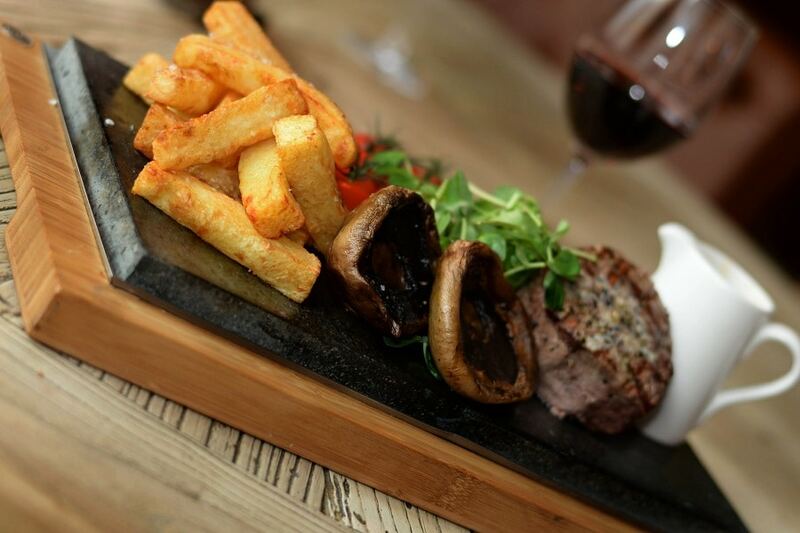 It’s little wonder that Liverpool is well known as the foodie capital of the UK! Our amazing global street food culture has swept the city and now you can enjoy culinary delights from across the land inside a wide selection of Liverpool restaurants. Better still, if you simply wish to spend some time relaxing in your hotel, The Bastion Bar and Restaurant has a fine selection of quality cuisine inspired by Bill Shankly and his Scottish roots. Take the deliciously tempting Baltic Market where stalls are frequently changed to allow new and exciting businesses the chance to wow diners with their wares, or the Georgian Quarter where a mishmash of culinary cultures line the streets. In the centre of town, you can taste the delicious Cuban delicacies of Alma de Cuba or the marvellous first-class dishes at Carpathia. Let your nose and appetites guide you towards enjoying fun days out in Liverpool sampling some of the finest foods from all around the world. For people visiting the city for the first time or others that live in and around the city centre, Liverpool has some amazing attractions that are easy to forget about, especially when you see them every day. So don’t be afraid to be a tourist and experience some brilliant days out in Liverpool by visiting some of the top tourist attractions at any time of the week. See if you can brave the climb to the top of the Radio City Tower and check out the breath-taking panoramic views, or hop on the Liverpool Wheel and enjoy seeing the city centre from a different perspective. There are plenty of Beatles Tours to take, but none come close to the spectacular Shankly Experience where you can book to see all the best Beatles sights around the city and some of the famous footballing and cultural landmarks, too. Why not explore the wonder of both of Liverpool’s Cathedrals in all their splendour? 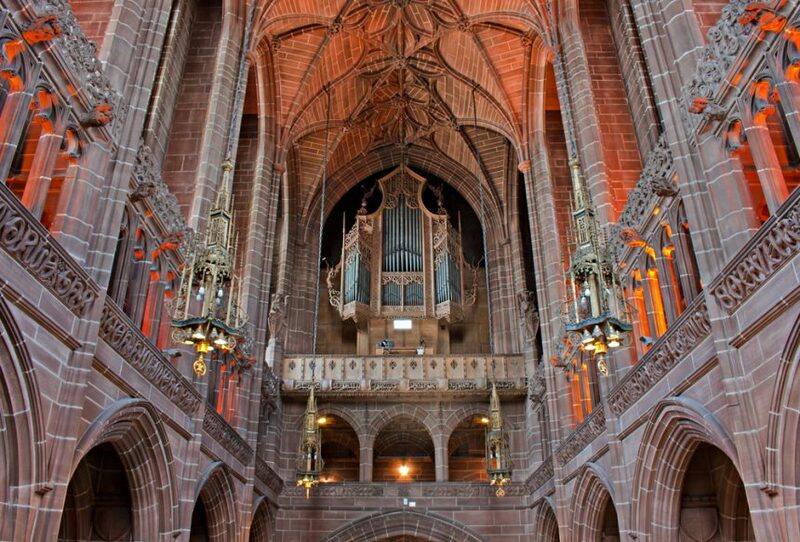 Check out the cavernous interior of the Anglican Cathedral or the opulent exterior of the Metropolitan Cathedral, both of which will take your breath away. A new and exciting addition to fun days out in Liverpool is the amazing film locations tour for the hit TV series Peaky Blinders. Taking visitors to all the top film locations in and around the city, fans of the show can enjoy seeing where all the magic happened. There’s so much fun to be had on days out in Liverpool during the week, no matter if you are visiting the city for the first time or you are a resident looking for something different to do. Our amazing hotel offers can include overnight stays, meals and even a tasty breakfast in the morning. We have the ideal break packages for families, groups of friends or couples on romantic getaways. Give us a call and have a chat with our friendly reservations staff on 0151 601 8801 and let them help to arrange your midweek stay at The Shankly Hotel. Take a peek here at what’s on offer during the week and make your booking! 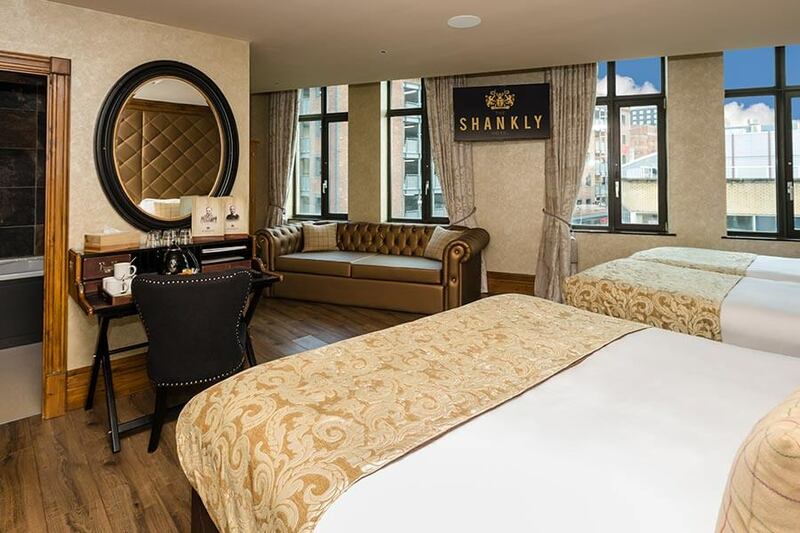 Make your reservation to stay in the Shankly Hotel today. Come rain or shine, Liverpool is bursting with cultural attractions and entertainment. From family fun and exhibitions, to delicious afternoon tea, we’ve compiled an array of activities to tick off during your visit. So while you’re staying with us at The Shankly, you’ll never find yourself stuck for things to do in Liverpool on a rainy day! Take a step back in time to discover the best of British music at The Cunard Building. Whether you’re a fan of the Beatles, Bowie or The Spice Girls, the British Music Experience has something for everyone! You’ll be taken on an interactive journey through the decades as you admire costumes, memorabilia and instruments sure to capture your attention. The Cunard is one of Liverpool’s stunning Three Graces, located along the scenic Pier Head. So while you’re there, you’ll have the chance to admire some of Liverpool’s most breathtaking landmarks. Make your stay at The Shankly Hotel all the more special with our delicious Afternoon Tea. The perfect way to spend a rainy day in Liverpool, why not join us for a selection of sweet and savoury treats served in style? 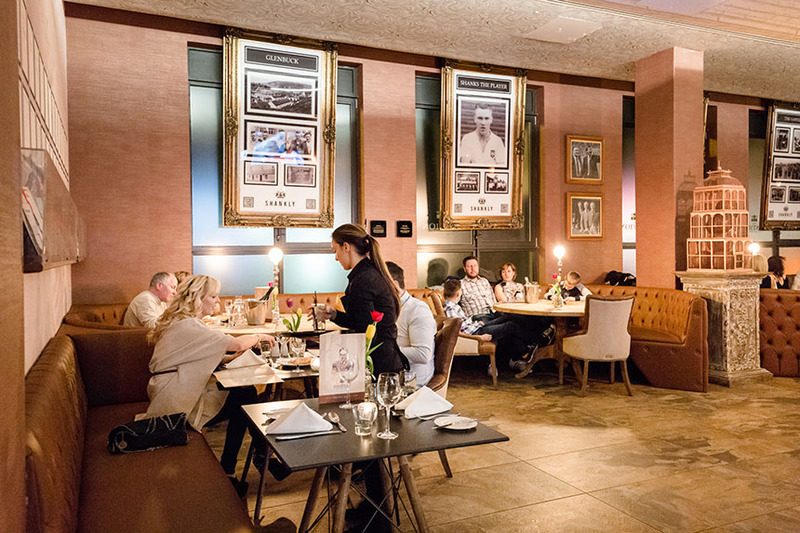 The Bastion is home to exclusive Bill Shankly memorabilia, so in between dining, you’ll have the chance to soak up some football history. 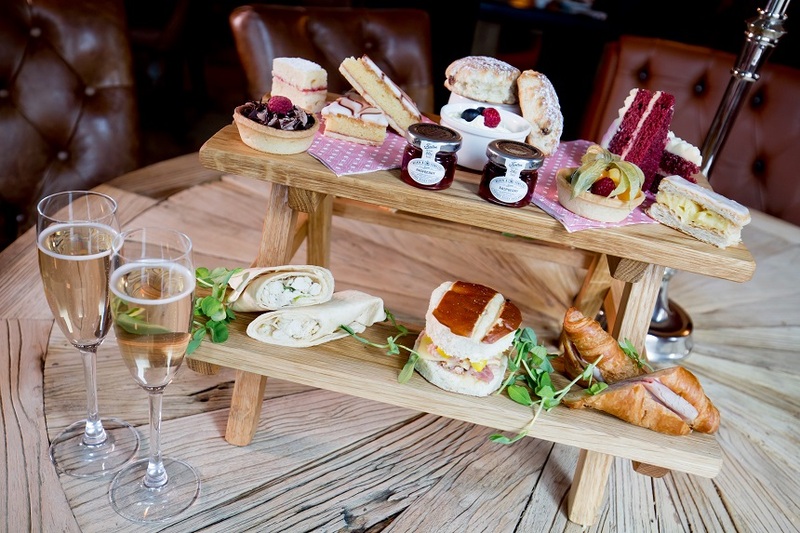 Our fabulous afternoon tea deal means you can enjoy this for just £19.95pp by booking with us on 0151 236 0166. The Playhouse is just a stone’s throw from The Shankly Hotel, and a perfect choice for keeping cosy when you don’t fancy a night in but don’t want to be out-out! The Grade II* listed building boasts an old 19th century auditorium and a traditional proscenium arch, bringing back the magic of traditional theatre. You can catch a wide range of productions on stage, from Jane Austen classics to mysteries that will keep you on the edge of your seat. 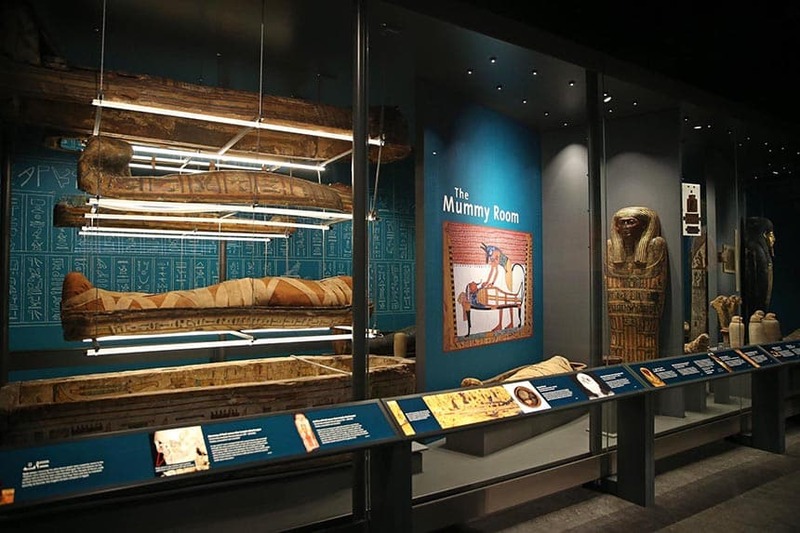 Perfect for a family day out on a rainy day in Liverpool, the World Museum showcases extensive collections and exhibitions. Take a 5,000 year journey through time and discover Ancient Egypt, stargaze at the Planetarium or dive deep into the sea at the aquarium. Not forgetting, the museum features interactive games and technology to keep the little ones entertained all day long. The World Museum is also home to a brand new cafe with striking architectural features and tasty bites to eat after a busy day of exploring. 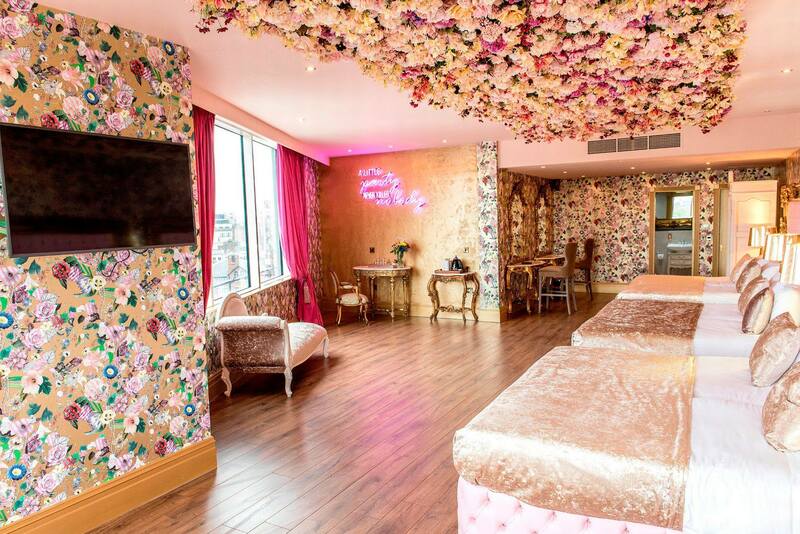 Why not treat yourself to some TLC over at Morgan’s Spa in Liverpool? Allow your worries to float away as you sink into the rejuvenating hydrotherapy pool and admire the intricate details of 30 James Street’s beautiful spa. You may also want to try one of the relaxing treatments, which can be tailored to suit your individual needs. From the Deeper than Deep Hot Stones Massage to a nourishing body wrap, Morgan’s Spa is the place to be on a rainy day in Liverpool. Following your spa day, you could also head upstairs to 30 James Street’s stunning rooftop restaurant for a cocktail or bite to eat! Once St. Peter’s Roman Catholic Church, Alma de Cuba is a dazzling bar and restaurant with a fascinating history. 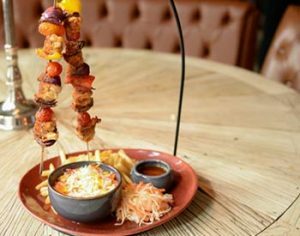 Following a Latin American theme, diners can enjoy a colourful array of dishes, tapas bites and stylish cocktails poured to perfection. Alma is also known for hosting afternoon tea with a Samba twist! Those in search of something different can book Samba Afternoon Tea on 0151 305 3744. Hogwarts? Liverpool? It’s hard to tell the difference at Liverpool Central Library. Explore the famous collections of rare books in the beautiful Oak room and stunning Hornby Library. 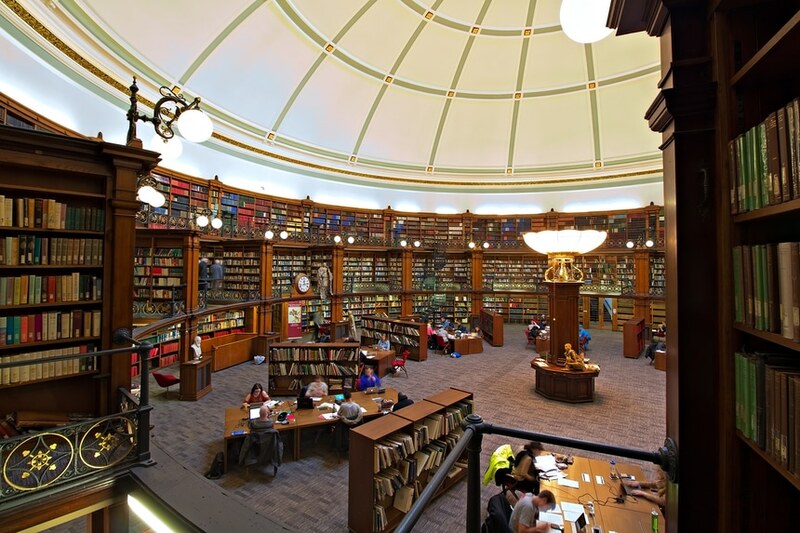 Get cosy and snug in the magnificent Picton Reading Room, an ideal spot to spend a lazy afternoon alone or with friends. The library also features the Deli Marche Cafe, the perfect spot for a cuppa. Don’t miss out on our range of exclusive special offers at The Shankly Hotel Liverpool. Book online today for the best price guaranteed. The time has come when we’re all looking forward to a much needed holiday. Whether it’s a short city break, or a luxury weekend away, The Shankly’s latest offers have something everyone can enjoy. Check out all the best offers, deals and hotel packages Liverpool has to offer at The Shankly Hotel right here. Sometimes we all need a little bit of star treatment, and we’ve got it in spades at The Shankly Hotel. 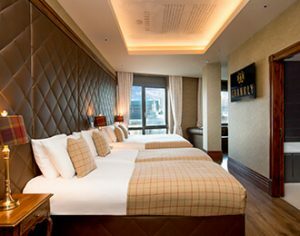 Our VIP offer gives lucky guests the chance to see how the other half live in a luxurious city centre hotel for the weekend. Let us take care of the finer details and pre-arrange evening meal and exquisite afternoon tea reservations, at your choice of Signature Living’s stunning Liverpool restaurants. 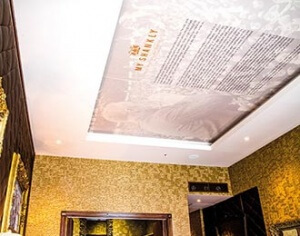 Upon arrival, your luxury Shankly-themed hotel room will be decorated to the theme of your special occasion, with party balloons and banners plus you’ll be invited to attend your own private cocktails masterclass in the hotel. We’ll even organise a little hired help to serve you drinks whilst you get the party started, with this, the most exclusive hotel offer Liverpool has ever seen. For some, it’s all or nothing and that’s exactly what you get when you book our Full Monty offer. Your amazing two-night weekend will start on check-in, where welcome Prosecco and cupcakes await alongside fabulous themed party balloons and banners. Then your very own butler will be on hand to serve a selection of drinks whilst you get ready for a night out on the town or a delicious two-course meal in The Bastion Bar and Restaurant. This is the perfect offer for those looking to enjoy all the spoils of a fantastic weekend away with friends for a fraction of the price. Here come the girls for a wonderful weekend away in Liverpool at The Shankly Hotel. Our High Heels and Hairspray offer has everything a group of ladies need to have a fabulous time in the city including evening meals, welcome drinks and hair and makeup services from The Salon. This fantastic offer is ideal for groups of ladies staying together for a girl’s night out in Liverpool or for one of those fun girls nights in. 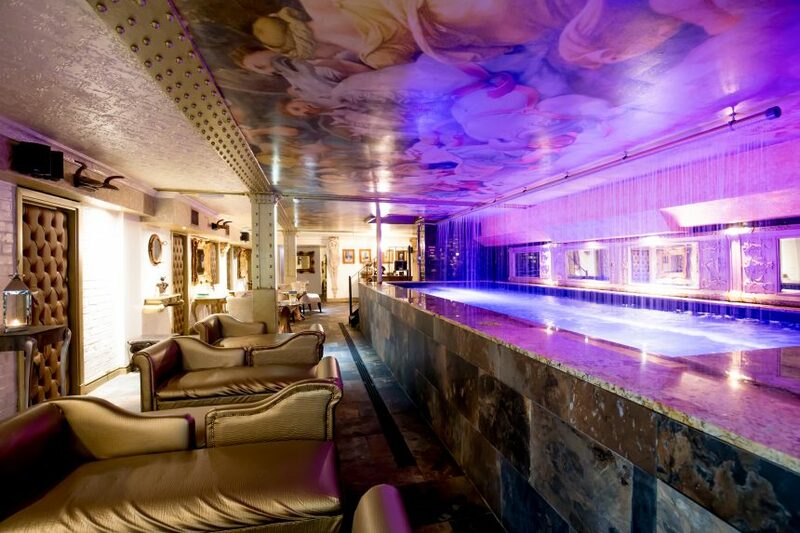 What better way to spend time with besties, than in one of the most luxurious hotels in Liverpool city centre? The best hotel packages often come with some surprising extras and at The Shankly Hotel, we’ve got the greatest offer for those who are looking for some fun during their stay. 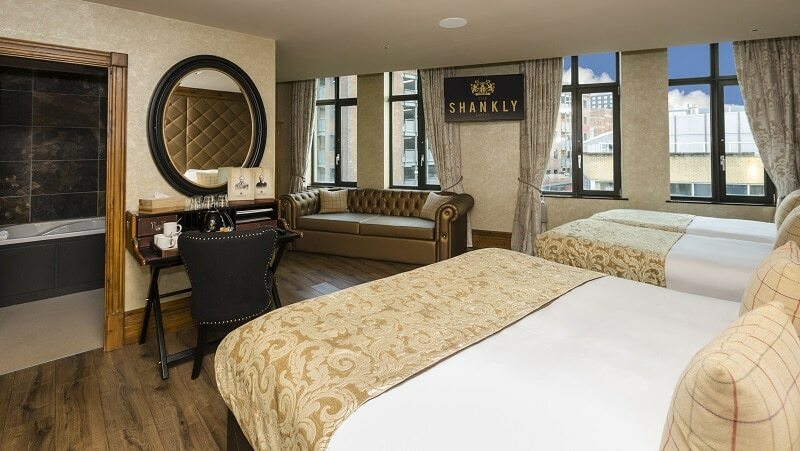 Book two nights at The Shankly Hotel using the Bubbles and Burlesque offer and enjoy welcome drinks, balloons and banners on arrival and a delicious two-course evening meal on one night of your stay. The exciting extras to keep the gals entertained are, an amazing dance class provided by a professional instructor and your choice of cocktails masterclass or private wine tasting session. It’s bubbles, burlesque and plenty of booze at The Shankly Hotel using this unique fun-loving offer. Why Choose The Shankly Hotel? Not only are all these offers entirely affordable, but they are perfect for groups of six or more guests to stay together in Liverpool in pure luxury and comfort. 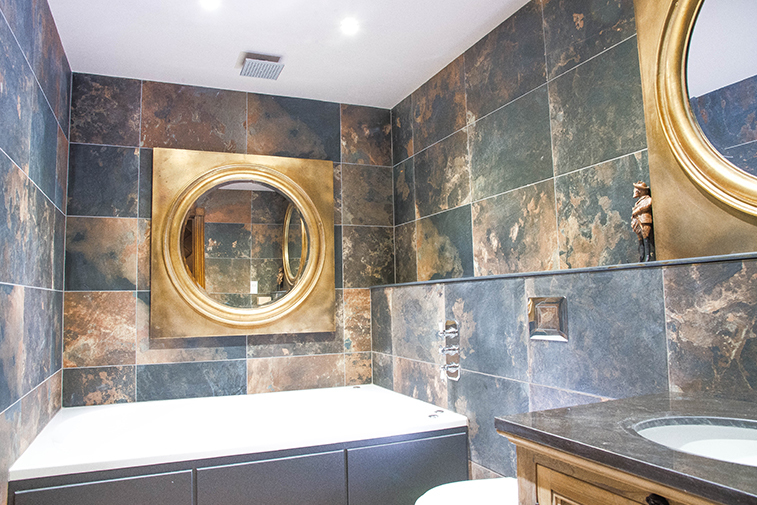 Our spacious hotel rooms offer each guest a plush bed to sleep in and sensational ensuite facilities, with double jacuzzi baths and waterfall showers. The central location of The Shankly Hotel also puts guests close to all the action of Liverpool’s city centre, with all the best shopping, landmarks, culture and nightlife on our doorstep. 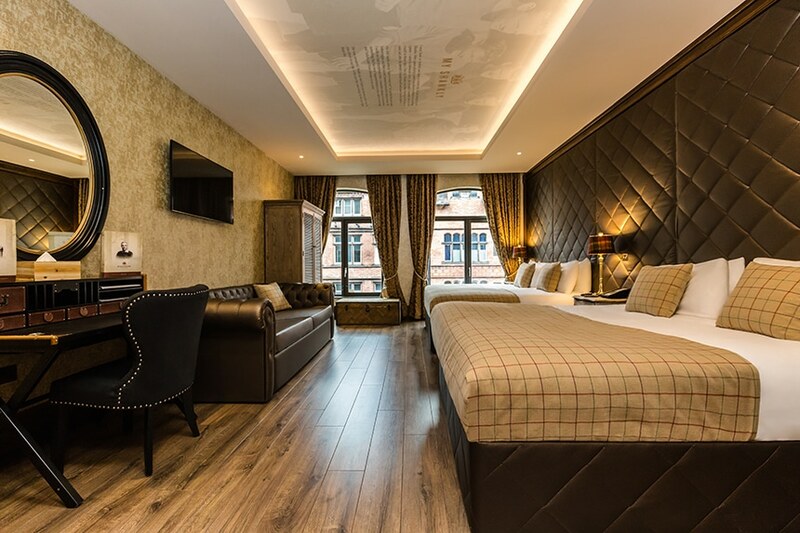 Book to stay at The Shankly Hotel using any of the most amazing hotel packages Liverpool has available right now and call 0151 236 0166 or email info@signatureliving.co.uk. We’ve turned up the romance at The Shankly Hotel for all you loved up couples looking for the perfect Valentine’s Day meals and hotel breaks in the city centre. Join us with your special someone and enjoy a delectable dining experience in The Bastion Bar and Restaurant or stay with us for a short but sweet city break this Valentine’s Day. We’ll bring you a choice of expertly prepared Valentine’s Day meals, all you need to bring to the table is your charming self. Choose your dish from our lovingly crafted set menu, especially put together for the perfect dinner date, and spend an evening sweeping your other half of their feet. 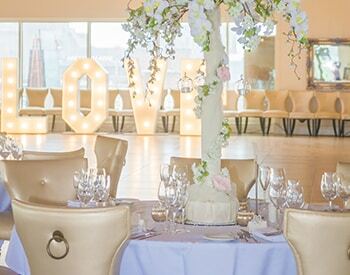 We’ll even provide you both with a glass of bubbly, so you can begin the celebrations with a toast your love. The Bastion Bar and Restaurant has a warm and welcoming atmosphere that encourages couples to relax and enjoy one another’s company. 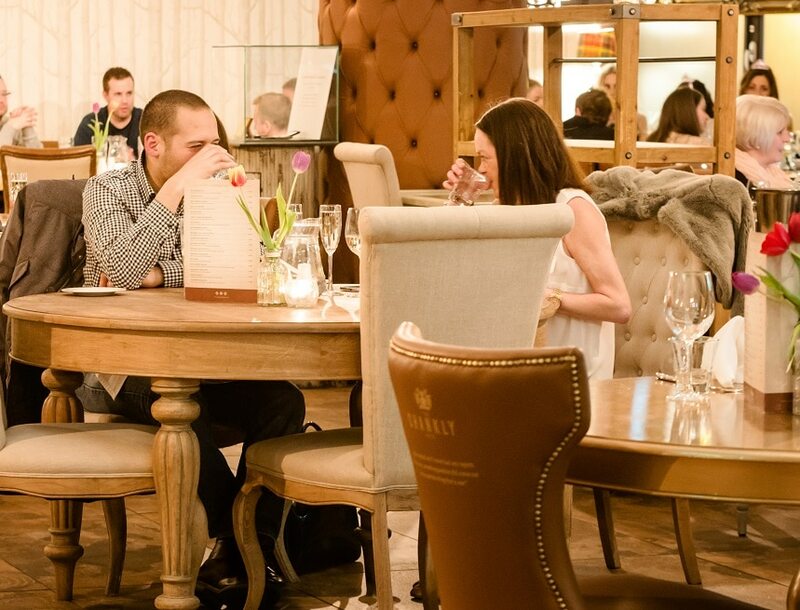 As we are closely located to the city centre, you could organise your dinner date to coincide with a visit to the nearby theatre or follow your meal up with a night on the town. No matter how you spend the rest of your evening, you can rest assured there’ll be plenty of love in the air at The Bastion this Valentine’s day. This year we’re giving you the chance to push the boat out and enjoy a wonderful city break to celebrate Valentine’s Day 2019 in Liverpool. Our excellent offer invites you and your loved one to enjoy one of our fantastic Valentines meals in The Bastion, followed by an overnight stay in a luxurious Shankly Hotel room. Here you’ll find we’ve laid out a special surprise including chilled Prosecco, scattered rose petals and two tantalising cupcakes. 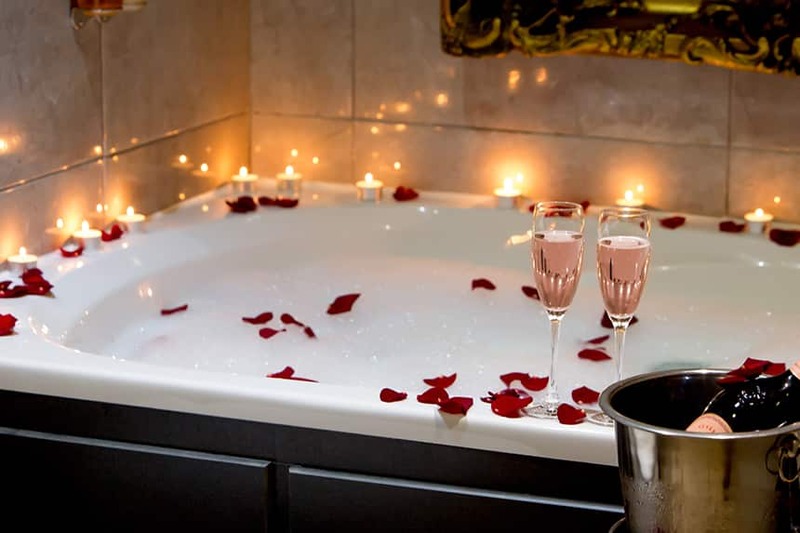 You’ll find everything you need for an amazing night of romance from our double jacuzzi baths, ideal for an indulgent dip together, to the large flat screen TVs and comfortable double beds where you can have a quiet night in watching your favourite rom-com together. We know how to make your night together count at The Shankly Hotel, book this amazing Valentine’s Day offer and surprise someone you love with a short and sweet city break in Liverpool. 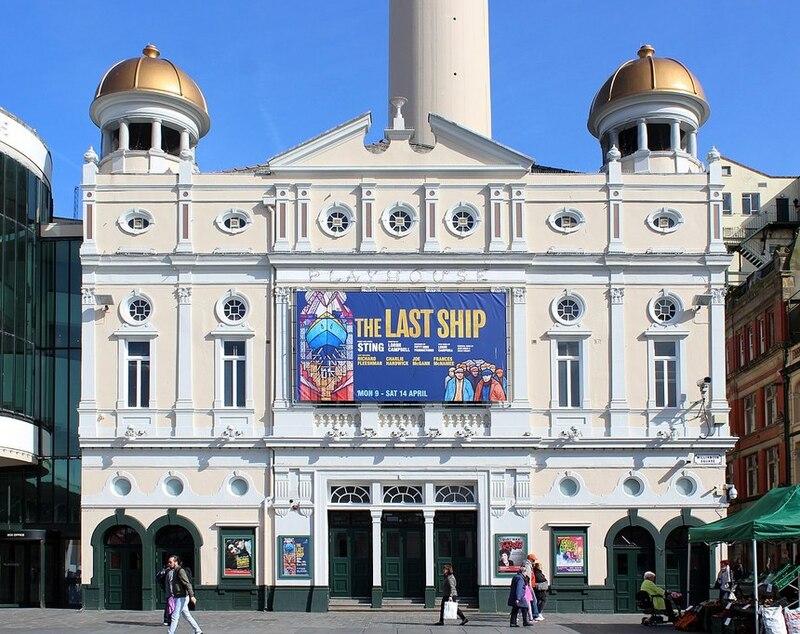 There are so many amazing ways to spend time together on Valentines Day in Liverpool such as shopping for the perfect gift or taking in a play at any of the amazing theatres. 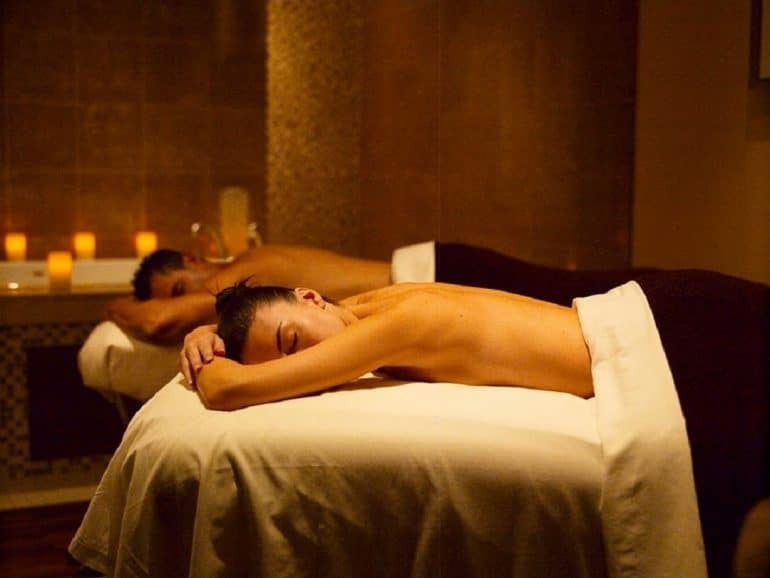 You could even arrange a visit to Morgan’s Spa for a relaxing couple’s treatment. But if you’ve already blown your Valentine’s day budget then why not check out all the fabulous free things you can do together to inspire a little romance. Before or after one of our amazing Valentine’s Day meals you could take some time to explore a little culture at the World Museum, or gaze upon ancient artwork in the Walker Art Gallery. If you’ve decided to stay with us overnight, explore the city’s amazing architecture. 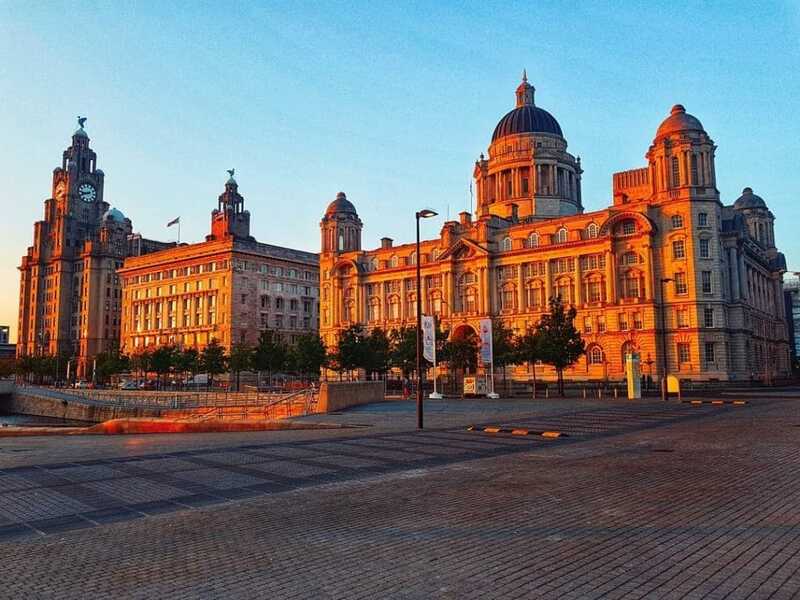 Take a walk down by the River Mersey where the twinkling waters are nothing short of mesmerising, then make your way along the waterfront to see the sunset upon the Three Graces. Whoever said “true love doesn’t cost a thing” was probably from Liverpool, as some of the most romantic things to do in the city don’t always involve spending your pennies. 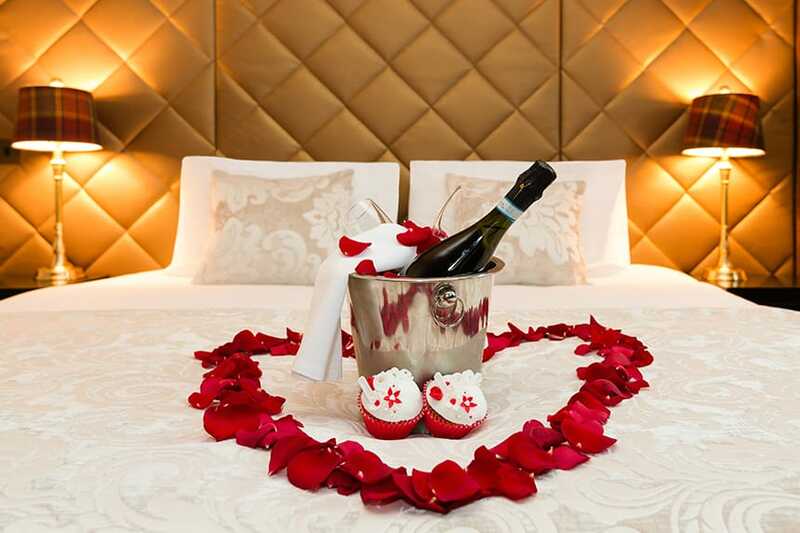 Book to enjoy one of our romantic Valentine’s Day meals or an unforgettable overnight stay by calling 0151 236 0166 or email info@signatureliving.co.uk. It’s the most wonderful time of the year and in just a few weeks we’ll all be singing under Christmas trees, opening presents and eating excessive amounts of delicious food. During the lead up to everyone’s favourite holidays why not book a short break in Liverpool using one of our latest Christmas offers? Everything from couples breaks, to family stays and group holidays can be booked at The Shankly Hotel where guests can enjoy getting some Christmas shopping done and explore the fabulous festive events that take place all over the city during the last few months of the year. And where better to let out all your festive cheer than in the heart of Liverpool at The Shankly Hotel, where its jolly all year round. Join us for a spectacular seasonal stay and dine in the cosy surroundings of The Bastion Bar and Restaurant and The Shankly Hotel. Here you can enjoy a delicious two-course meal followed up with a browse around the Shankly Museum. Close enough to explore the surrounding city you could catch up on some shopping then enjoy the fabulous nightlife, all within short walking distance from The Shankly Hotel. This superb offer at The Shankly Hotel includes a 30-minute treatment in Morgan’s Spa, where you can also sip a soothing hot chocolate to warm you up on these cold winter days. The entire package is just £89 pp for groups of four or more or for a romantic and relaxing short city break Liverpool, the package is £199 per couple. All We Want for Christmas is You . . .
. . . and all your friends to come along and enjoy a short city break in Liverpool at The Shankly Hotel or just you and your special someone. We’ve tailored one of the most exciting Christmas offers to help you begin tackling that long Christmas present list while also spoiling yourselves with a delicious meal and overnight stay in The Shankly. 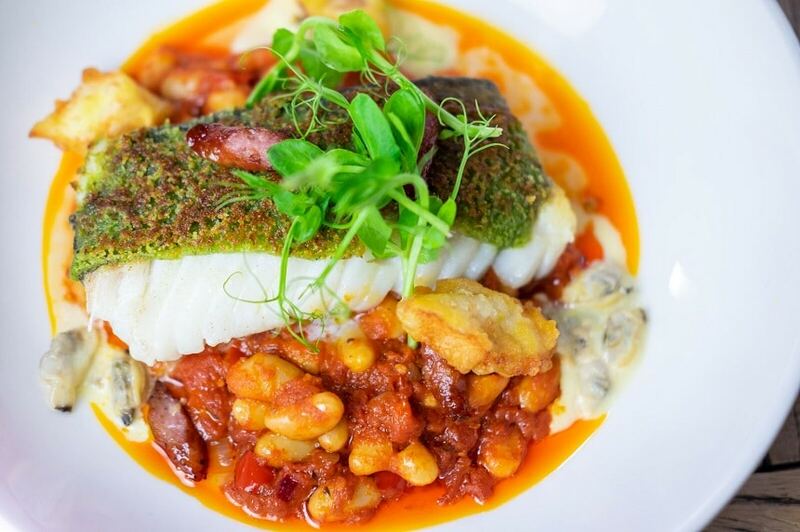 Book this superb offer and spend a full day shopping in Liverpool ONE, then chose a tasty two-course meal from the mouth-watering menu in the Bastion Bar and Restaurant before making your way to a stylish Shankly Hotel room and your very own double jacuzzi bath. For four or more people this amazing offer is just £69 pp or £149 for a couple on a romantic break. If you are Dreaming of a White Christmas . . .
. . . The Shankly Hotel has the another of Liverpool’s most perfect Christmas offers just for you. 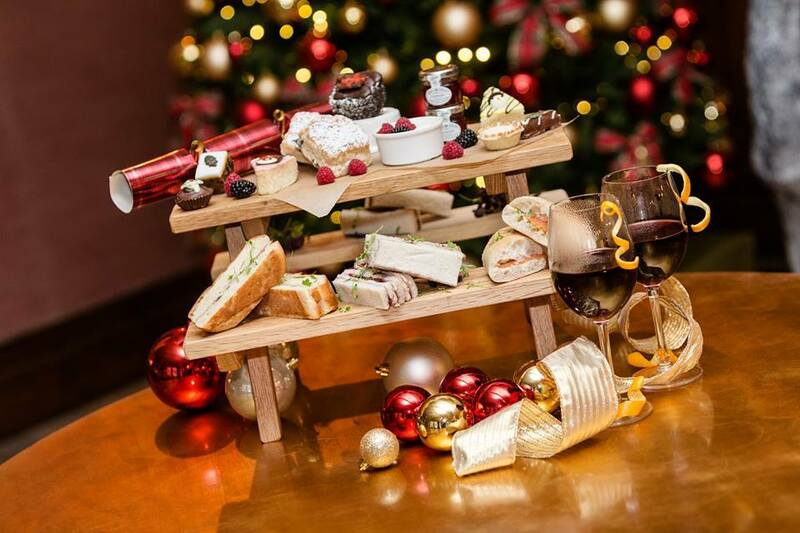 Sit down to enjoy a fabulously festive afternoon tea including mini-mince pies, Christmassy cakes and glasses of bubbly getting you in the Christmas spirit for some festive fun in Liverpool. Take yourselves out and about in the city to check out some of the exciting events popping up throughout the season and enjoy getting into the swing of Christmas from the comfort of The Shankly Hotel. When you’ve seen all, you need to your comfortably Shankly Hotel room waits for you to snuggle into bed and watch a movie or enjoy an indulgent dip in the tub. Book this amazing offer as a treat for friends, or two spoil you and your better half. Prices start at just £49 pp and £139 per couple. From The Shankly Hotel with love this wonderful winter offer has everything a group of guests needs for a very merry Christmas party in Liverpool. Start with a festive afternoon tea, served in The Bastion Bar and Restaurant and fill your face with pretty pastries and prosecco, before heading up to your luxurious Shankly Hotel room. When settled, a team of professional make-up artists will arrive to make you over for the night ahead, the perfect Christmas treat. Then once you and the rest of the guests are glam and good to go a two-course evening meal awaits in the Bastion. 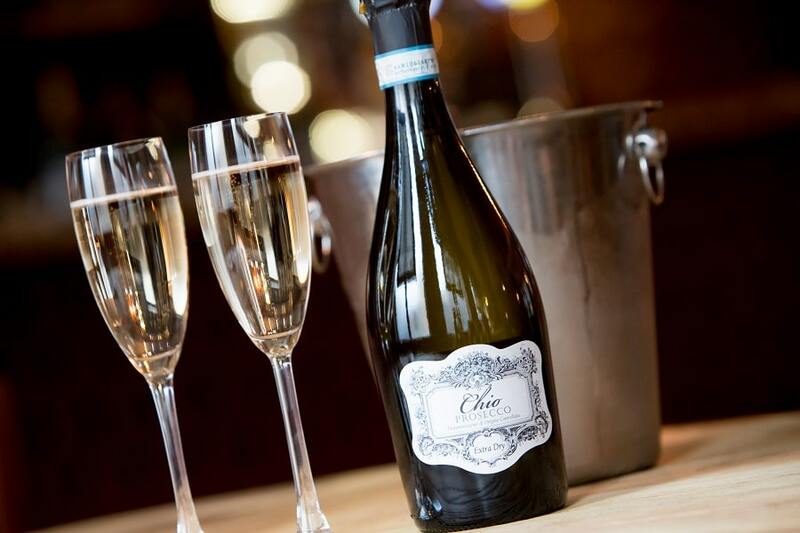 The evening is then your to do as you wish, head out on the town or stay in the bar and enjoy the relaxed atmosphere, great company, scrumptious cocktails and a good night with your nearest and dearest. All this is yours for just £129 pp, based on four or more sharing and would make a great to share between friends or family on the lead up to Christmas. All of these superb Christmas offers are available Sunday – Thursday and include delicious breakfasts in the Bastion Bar and Restaurant the morning after your stay. Call now to book on 0151 601 8801 or check out our exclusive Christmas offers where you can book to stay online. Need some rest and relaxation away from the family after a busy summer season? Treat you and your loved one to a stay in the heart of Liverpool with exclusive new The Shankly Hotel offers this autumn. From indulging in cups of hot coco at some of the best coffee shops in the city to enjoying the visual delights of changing seasons in a walk around Sefton Park, the colder months kick start some of the best activities and cultural events in Liverpool this year. You could almost say that autumn is the best season to enjoy the city! Catch up on some total rest and relaxation at The Shankly Hotel with our Autumn Revive offer for two. Feel rested and restored with this incredible package, as you enjoy a trip to the luxurious Morgan’s Spa and an overnight stay in an opulent Shankly suite followed by a delicious breakfast at The Bastion Bar and Restaurant. Completely relax with an inclusive 35-minute spa treatment and two hours access to all the Morgan’s Spa facilities, including the 40ft hydrotherapy pool, private bar and sauna. 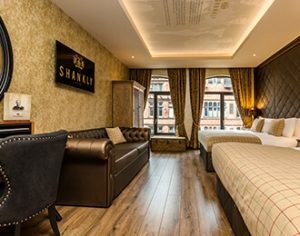 Stay at The Shankly Hotel in one of our magnificent luxury suites, equipped with ultra-comfortable double beds, Jacuzzi bath, 50” smart TV and Bluetooth sound system. Stylishly decorated with heritage décor touches and high-quality amenities, enjoy a good’s nights sleep before heading down to The Bastion Restaurant for a decadent breakfast. For just £159 per couple, you can enjoy a restorative city break in the heart of Liverpool this autumn. Sunday – Thursday (£30 supplement applies for Friday). Subject to availability and excludes bank holiday weekends and all Liverpool home games. Spoil that special person in your life with a bed and breakfast package you’ll never forget with our Autumn Relax offer. 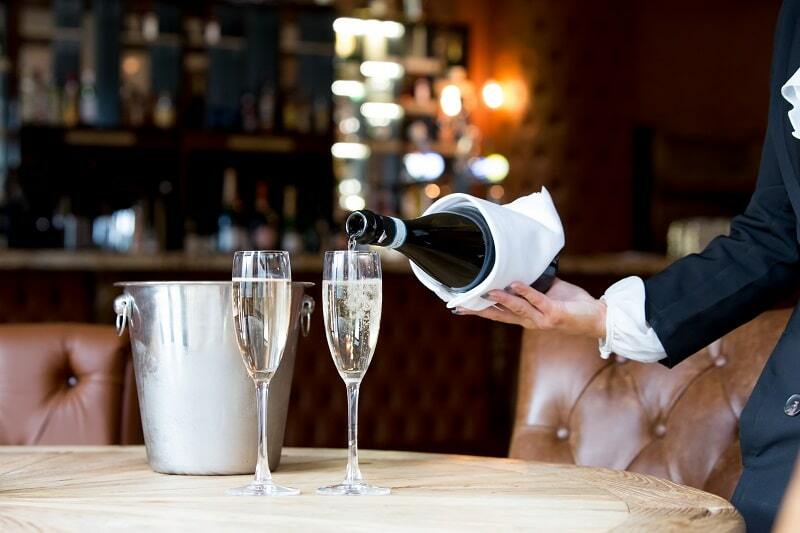 Arrive in style with a bottle of chilled prosecco ready in your suite, before you stay overnight in complete luxury at The Shankly Hotel. With opulent interiors and state-of-the-art amenities, including spa bath, flat screen TV, sumptuous beds and a Bluetooth sound system, you can make it a night to remember for your loved one. Just a stone’s throw from all of Liverpool’s best bars and restaurants, The Shankly is the perfect date-night hotel: head out to some of the incredible venues the city has to offers before returning to your suite for a romantic night in. And when you wake up the next day, enjoy a full breakfast at The Bastion Bar and Restaurant. For just £99 per person, book now for the ultimate autumn mini break with your loved one. Sunday – Thursday. Subject to availability and excludes bank holiday weekends and all Liverpool home games. 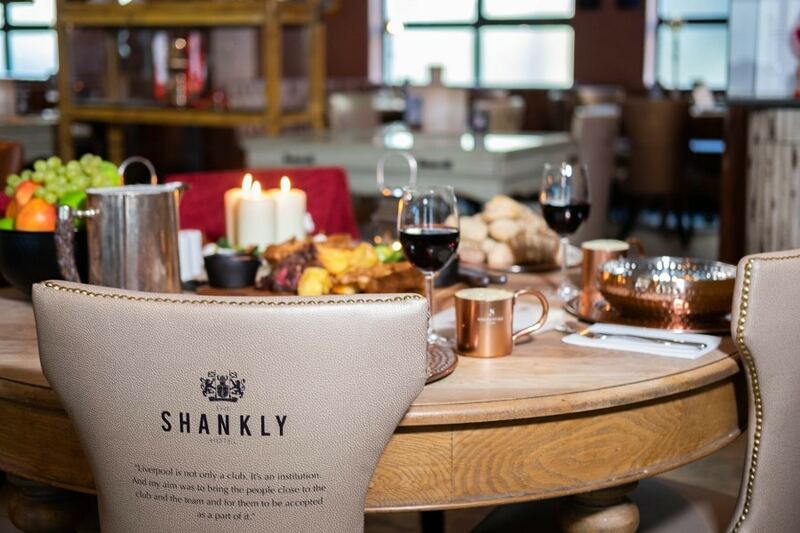 Head to The Shankly with your other half for a night of great food and welcoming surrounds with our Autumn Escape offer. Enjoy an overnight stay in one of our luxurious suites and indulge in a sumptuous two-course meal at The Bastion Bar and Restaurant. Filled with unseen Bill Shankly memorabilia, this is the perfect package for any Reds fans looking for a short city break. Plus, you’ll also enjoy breakfast the morning after your stay. Just £138 per couple, the Autumn Escape is the perfect way to spoil your other half this autumn. The Shankly Hotel offers luxurious accommodation in the centre of Liverpool that’s as unique as its namesake, Bill Shankly. Designed with comfort, style and flexibility in mind, each suite is over 2.5 times bigger than an average hotel room, offering you a VIP stay in an outstanding central location. A tribute to the career of one of football’s greatest managers, Bill Shankly, the hotel is furnished with unseen memorabilia, fascinating stories and previously unheard anecdotes about the life and legacy of the father of Liverpool FC. 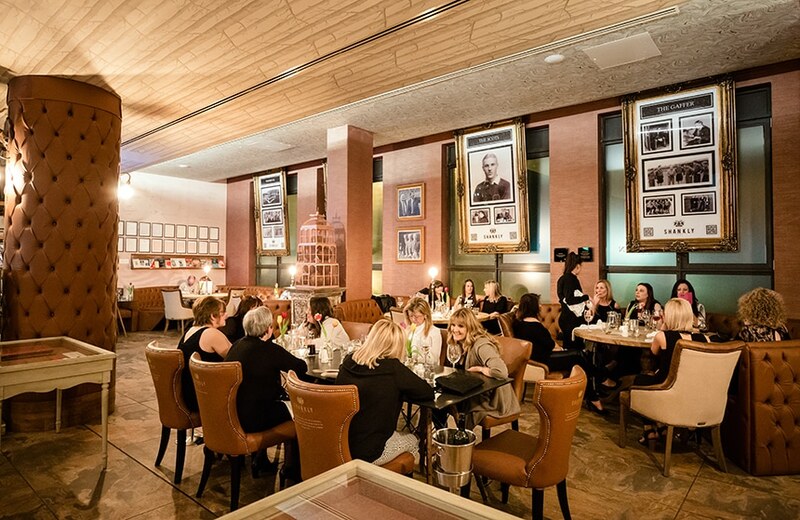 The Bastion Bar and Restaurant, located within The Shankly, offers a unique dining experience, allowing guests to immerse themselves in the world of Bill Shankly, as you enjoy elegantly crafted cocktails and a delicious menu of locally-sourced produce. 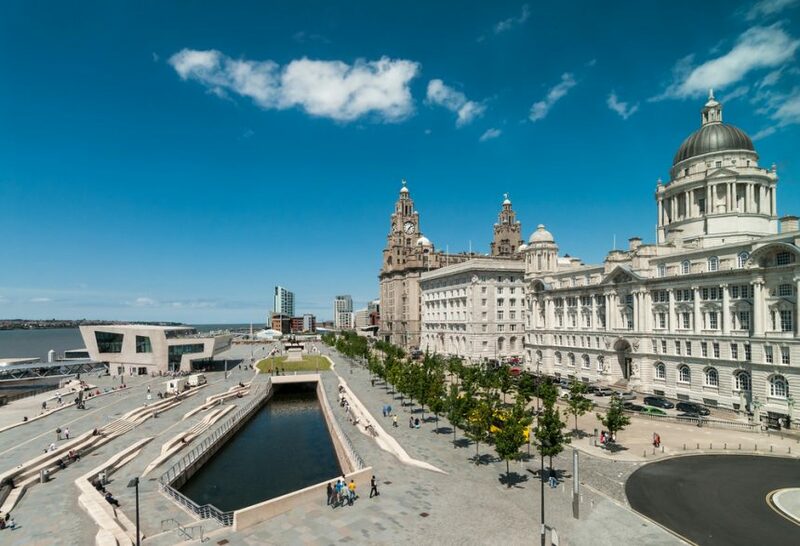 And just a stone’s throw away from all of the city’s best shops, restaurants, coffee shops and cocktail bars, as well as historical sites like the UNESCO World Heritage Waterfront, it’s the perfect hotel base from which to explore Liverpool. Why not add an afternoon tea package to your stay at The Shankly? 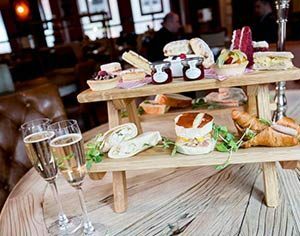 For just £19.95, indulge in delicate finger sandwiches, moreish cakes and delicious sweet treats plus a glass of bubbly of a cup of tea or coffee. We can’t wait to welcome you to The Shankly Hotel and the incredible city of Liverpool. Book our exclusive The Shankly Hotel offers today by visiting the offers page or calling 0151 909 4940. 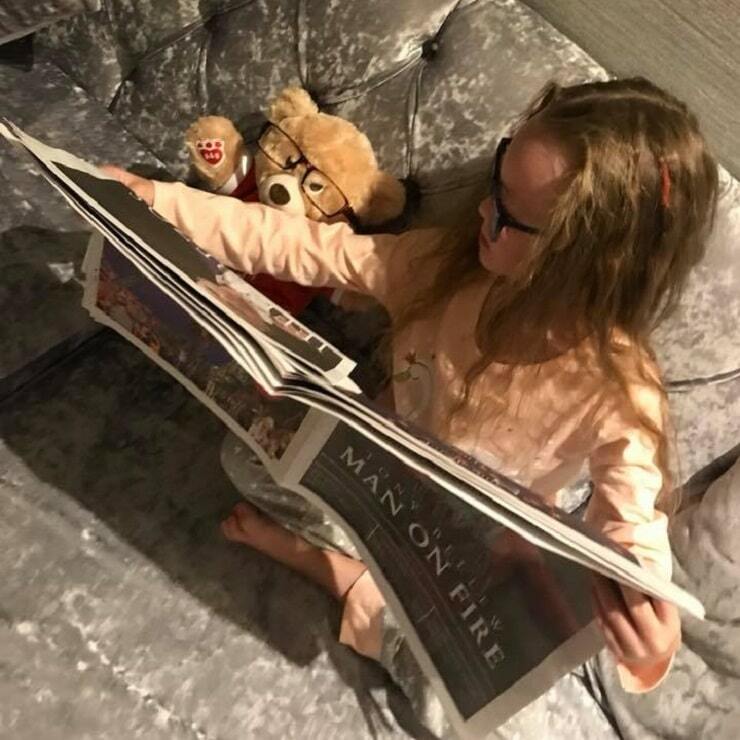 At The Shankly Hotel, we appreciate how important it is to spend quality time with your family that’s why we believe The Shankly Hotel is one of the most amazing kid friendly hotels in Liverpool. 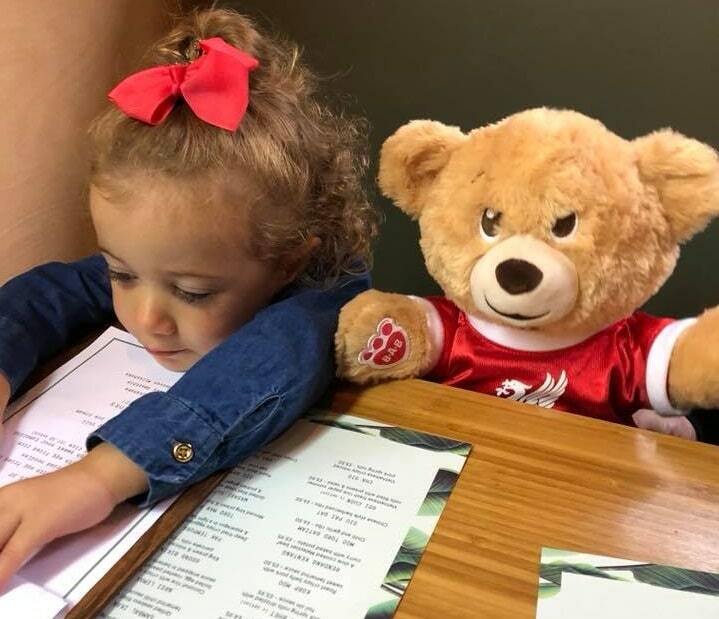 Keeping your little ones entertained during your visit to Liverpool is easy when they’re out and about exploring the city, but what about when it’s time to sit down to a family meal or at night when it’s time to settle down? Who Is Bill the Bear? Bill the Bear is an explorer and adventurer who simply loves taking a look around Liverpool and learning new things. He was named after Bill Shankly, the legendary Liverpool football manager who The Shankly Hotel is also named after and who the people of Liverpool adored. 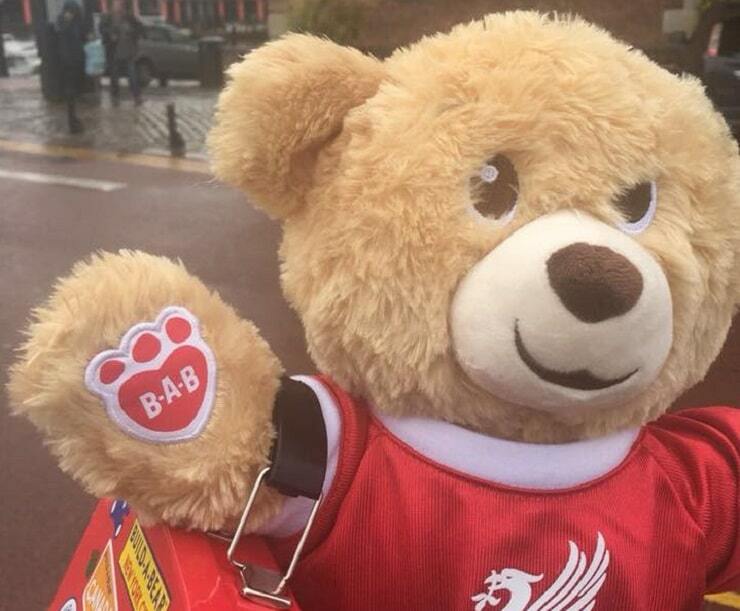 Bill the Bear wants everyone to love the city as much as he does and as much as Bill Shankly did. He looks forward to meeting young people who come to stay at his house, The Shankly Hotel, and can’t wait for them to become his newest friend. 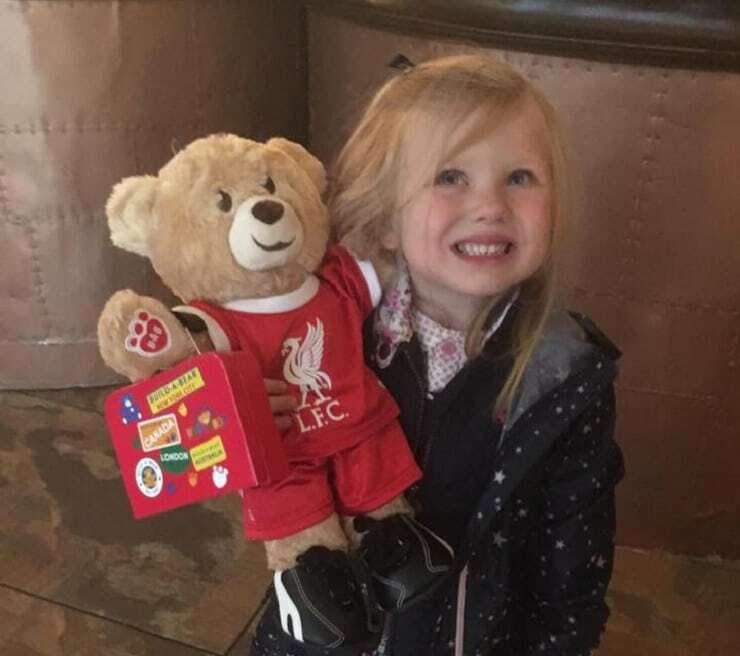 It’s important that grown-ups to know The Shankly Hotel is one of the best kid-friendly hotels in Liverpool and Bill the Bear knows all the most fun things to do in Liverpool and in our luxury family hotel rooms. 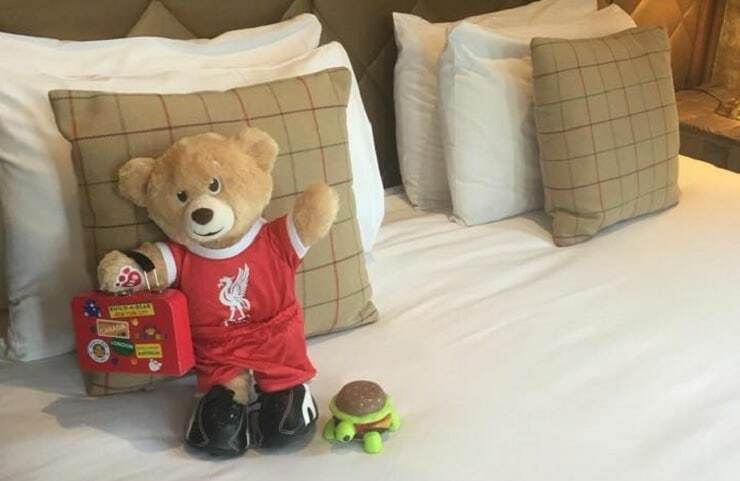 Let Bill the Bear show you all his favourite things to do in Liverpool and what he enjoys most about living in The Shankly Hotel. Help Bill the Bear with the luggage . . .
Or keep him up to date with world affairs . . .
Join him relaxing in the huge, comfy, cosy beds . . .
Or help him order some tasty lunch . 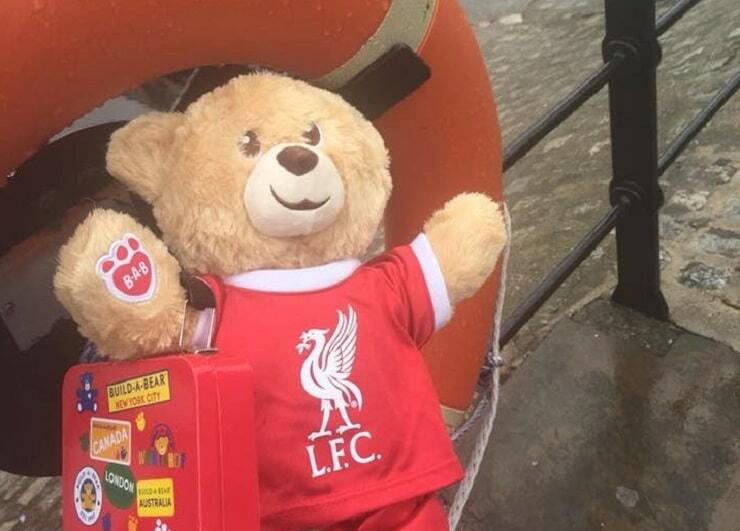 . .
Best of all Bill the Bear enjoys visiting all the popular Liverpool landmarks nearby and loves it when young people take him with them on their adventures around the city. Exploring the waterfront looking at the boats . 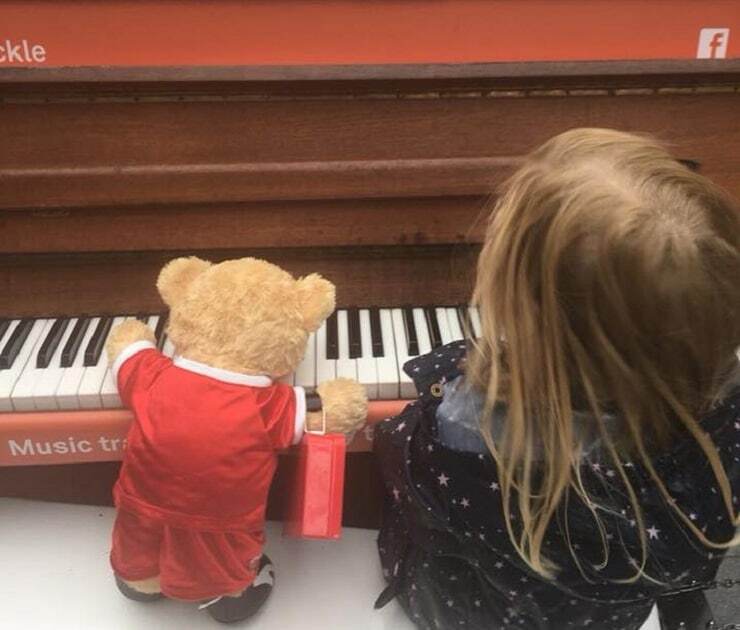 . .
Learning to play the piano in Liverpool One . . .
Or visiting Albert Dock to see all the museums . . .
are just some of the nearby things Bill and his friends enjoy doing in Liverpool. And after all that fun there is nothing more Bill the Bear loves than snuggling down for a good night’s sleep with his new friend . . .
Bill knows that its super fun to stay in kid friendly hotels especially when you have a friend like him to share it all with. 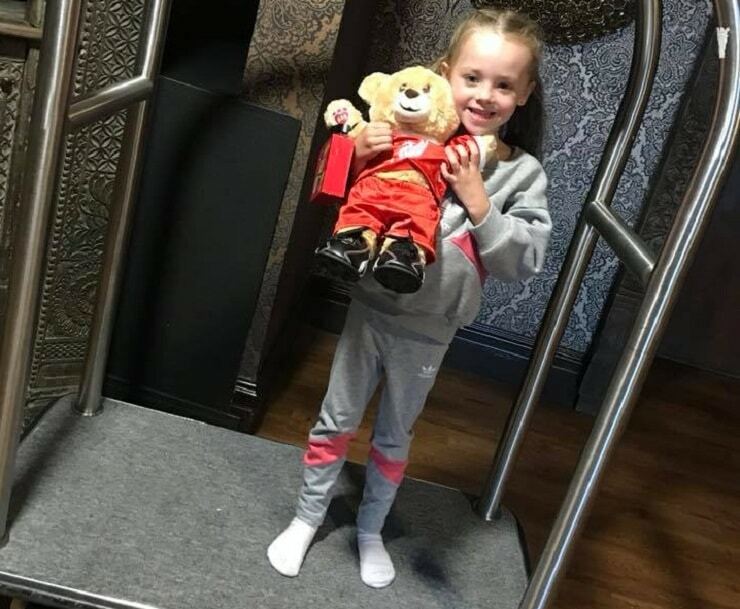 It’s not just Bill the Bear that makes The Shankly Hotel one of the greatest kid friendly hotels in Liverpool, we also have a superb hotel offer that is perfect for family get-togethers. 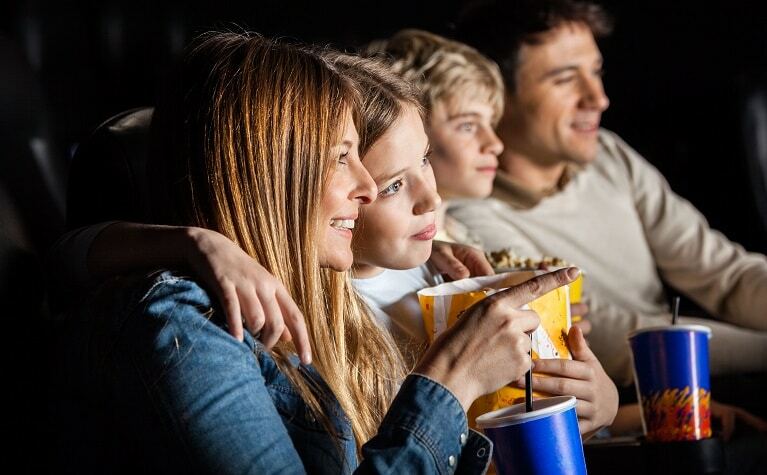 The Cinema & Stay offer invites a family of three to enjoy an overnight stay in one of our luxurious family hotel suites, a two-course meal in the Bastion Bar and Restaurant and tickets to see the latest releases at the ODEON. Just £149 per family of two adults and one child, then £20 per additional child. We happen to know that Bill the Bear loves going to the pictures too so you can always take him along for the night. He likes eating lots of Popcorn, just make sure he doesn’t eat it all though. 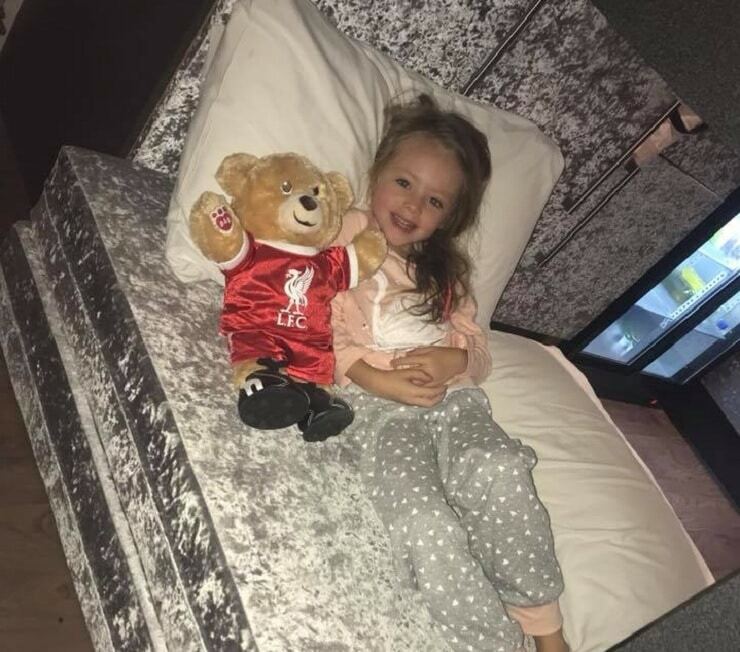 When it comes to the search for the best kid friendly hotels in Liverpool, The Shankly Hotel has certainly got things covered. We’re super easy to find, with secure parking directly under the hotel and are close to all the best bits of the city including great restaurants, shops and all the exciting museums, galleries and landmarks. 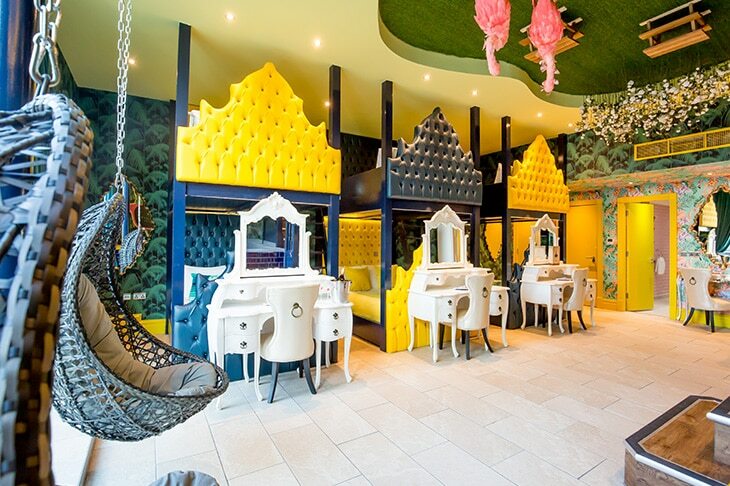 Why not book your next family break away in one of the best and most unique kid friendly hotels in Liverpool at The Shankly Hotel? Bill the Bear can’t wait to meet you and begin his next adventure with a new friend. Call 0151 601 8801 or email info@signatureliving.co.uk. Were you a FAME superfan who’d always dreamed of donning your leg warmers, moving to New York and becoming a performing arts student? Well now’s your chance to live out those dreams with the FAME Fan Package hotel deal created especially for FAME fans everywhere. We’ve put together an unbelievable offer that invites you to come and meet the stars of the show including eight of the original cast members. This superb offer has been created to help FAME super fans realise their dream of meeting the main cast members of the hit TV show that dominated TV screens through the 80’s. For just £120 per person, you could enjoy spending a luxury break in Liverpool and get a chance to meet the TV icons of your past. Whilst the FAME UK Reunion show is in town, get your tickets for our FAME Fan Package hotel deal and enjoy meeting the cast of FAME up close and personal whilst enjoying some time in the city. Set in New York City, but filmed mainly in California, the TV show FAME was based on the hit movie of the same name. It followed the lives of students and teachers who attended the New York City High School for the Performing Arts. The show captured the students lives both in and out of school as well as the hearts and minds of UK audiences. The cast of talented individuals learned to sing, dance and act throughout the six series that aired between 1982 – 1987, after which man of the actors disappeared into obscurity only to resurface later on in Bring Back . . . FAME in 2008. Audiences loved everything about FAME, from the funky fashion to the daring dance moves and sensational storylines that explored real-life issues. From the TV show, 5 soundtracks were sold giving people the chance to dance and sing to all the hit songs from the show at their leisure. This was an American TV teen drama that would be today’s equivalent to Gossip Girl or Scream Queen’s, taking a look at the inner workings of education in America, something which is still a present-day interest for young people everywhere. Over three decades since the TV series ended eight of the popular cast members will come together for an amazing concert in Liverpool. Dedicated FAME Superfans have organised a superb show that will let people relive the days when FAME was the height of TV fashion. For Mayday weekend in 2019, there will be two excellent concerts taking place at the ECHO Arena that will celebrate the success of FAME. Erica Gimpel (Coco), Valerie Landsburg (Doris), Lee Curreri (Bruno), Carlo Imperato (Danny), P.R. 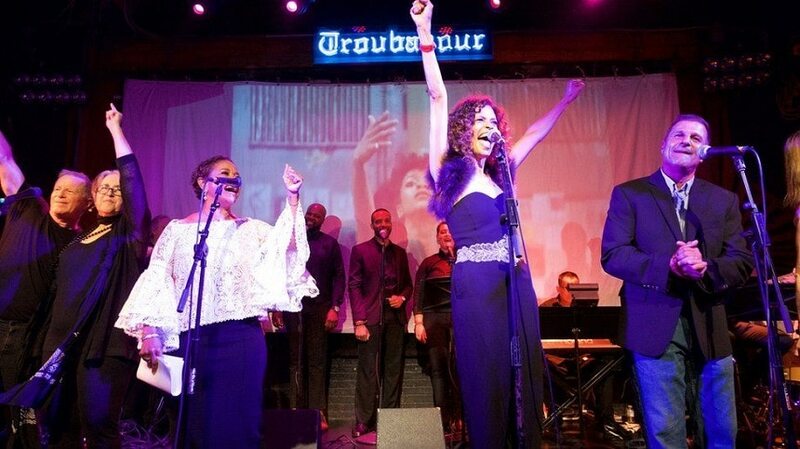 Paul (Montgomery), Cynthia Gibb (Holly), Nia Peeples (Nicole) and Jesse Borrego (Jesse) will all take to the stage at the ECHO Arena and bring to life the songs from the hit series. Other performances have been added to spice up the lineup and LMA performers will be joining the cast on stage to keep the feeling of FAME’s young and hip past in the present. Proceeds from the FAME UK Reunion concert will be donated to Claire House Children’s Hospice. Don’t hesitate and book our amazing FAME Fan Package and hotel deal soon on 0151 601 8801 or email info@signatureliving.co.uk for more details. After the excitement and heartbreak of last season’s Champion’s League Final, Liverpool is buzzing with anticipation for a fresh chance to shake things up in the beautiful game. Here at The Shankly, we’re excited to see what the new season brings for the Reds. 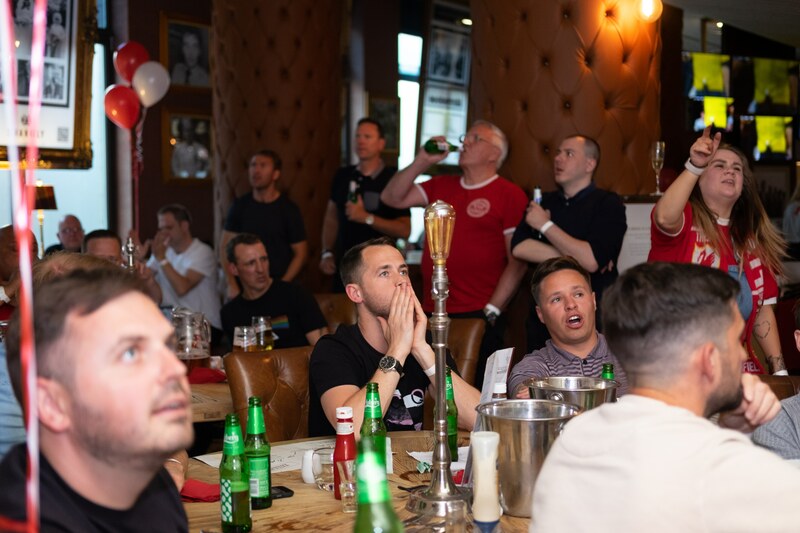 Liverpool’s Premier League journey kick-offs on Sunday 12th August with a match against West Ham and there’s no where better to catch all the action than at The Shankly Hotel, the premier destination for a first-class football viewing experience. And this season, we’re bringing back our Match Day package, ensuring a game day like no-other for every domestic Liverpool match! 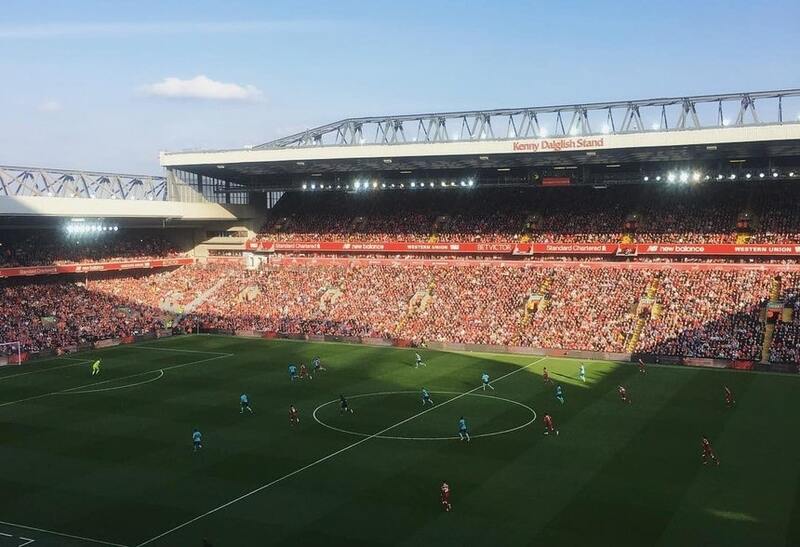 The fixtures for all 92 clubs in the Premier League were were released right back in June, and Reds fans were pleased to see that the first match of the season for Klopp’s team is being played at Anfield on Sunday 12th August – something that’s not happened since 2014. And although dates might change to fit with TV scheduling, we know the rough dates that Liverpool will be facing off their biggest rivals. Jurgen’s boys will be battling it out at Anfield on Saturday 6 October against last season’s League toppers, Man City, while neighbourhood rivals Man United will be heading to Liverpool on Saturday 15 December. The excruciatingly exciting Merseyside-derby is starting at Anfield, with the Reds taking on the Blues on Saturday 1 December, and Liverpool won’t be returning the visit to Goodison Park until Saturday 2 March next year. Meanwhile Everton, who finished 8th in the Premier League last season, are set to play Wolves away this Saturday (11 August) in their first match, before welcoming Southampton to Goodison Park for the first home game on Saturday 18 August. All eyes are on Liverpool’s latest transfers, after Alisson Becker became the most expensive goalkeeper ever bought. Following his move to the Reds for a cool £65 million, the Brazilian goalie is set to start against Torino in the final friendly before the season tonight. Klopp has also brought in Naby Keita, Fabinho and Xherdan Shaqiri to Anfield, creating a strong spine for the team. And it looks set that the Blues will be signing Brazilian international Bernard today, after new manager Marco Silva played a key role in persuading the attacker to join him at Everton. The Toffees have also signed Lucas Digne from Barcelona. Is it the Year of the Reds? Numerous pundits have suggested that this season might be the moment that Liverpool tops the Premier League. Former Arsenal defender Martin Keown, writing for The Daily Mail, said: “I’m going to put my neck on the line and say Liverpool to win it”, while the Mirror’s Mike Walters has said that the Reds are the only team equipped to stop Manchester City and take the title. Manager Jurgen Klopp has been more hesitant in predictions of the future, however, telling the media that he thinks the team still has room to improve after their 5-0 thumping of Napoli last week. Dedicated to celebrating and preserving the legacy of the Liverpool legend, The Shankly Hotel is a living, breathing museum to Liverpool Football Club and the beautiful game. 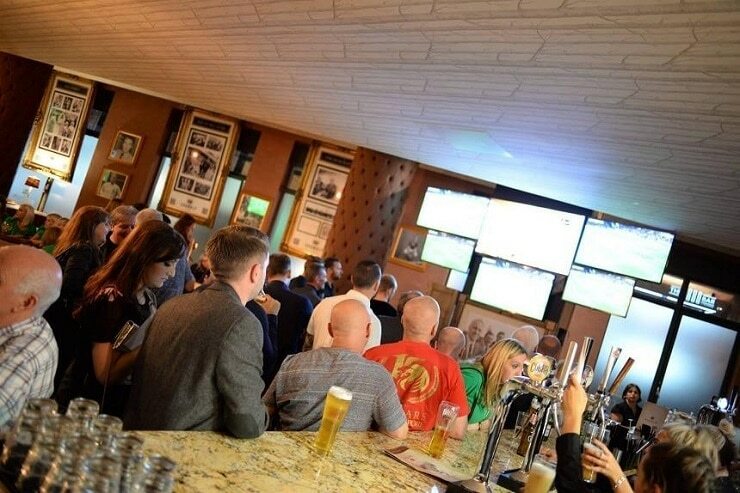 At the Bastion Bar & Restaurant, we’ll be showing all the Premier League matches on our large screen TVs, with a fully stocked bar and a delicious menu to indulge in while you watch. And this year, we’re bringing back our incredible Match Day Package! For just £12.95 per match, you’ll get a match day experience like no other. Get stuck into a feast of food and drink from The Bastion Restaurant before the game and enjoy our live entertainment and prize giveaways. Then, watch the Reds play their rivals on our large TV screens and enjoy exclusive drinks offers only available on match days. 2-for-1 for an hour after full time whistle if LFC win. For more information, visit our Match Day Experience page here. To book you place today, call 0151 541 9999. As the only football-themed hotel in Liverpool, The Shankly is the best place in the city to catch all the season’s games. Whether you’re watching the match here, or heading off to Anfield, make sure you book one of our luxury suites and have the ultimate football weekend. Each of our suites is inspired by Bill Shankly’s illustrious football career and we like to say that a night at The Shankly isn’t a stay – it’s an experience. All our rooms includes ultra-comfortable double beds, spa baths and walk-in showers, as well as 50” flat screen TVs. Air conditioning and free Wifi access. To book a room or reserve your place for a Match Day Experience Package, call 0151 541 9999 today. The friendlies are nearly over and the new season is looming large. In just a few weeks, you’ll probably be seeing a lot less of your other half than you’d like! No more help with DIY jobs around the house and you can guarantee the fridge won’t be stocked until next May – once the football hits, they’ll be glued to the screen and unable to hold a conversation that doesn’t mention how the new transfers are settling in. And whether you’re both footie fanatics, or just one of you cares about how Oxlade-Chamberlain’s knee is holding up, our exclusive new offer will ensure that you both get some time-out from the build-up to work on improving team relations at home. Enjoy the last few football-free weeks with your partner by indulging in a short-stay at one of Liverpool’s premium hotels with our Extra Time deal and make sure you don’t get relegated to the bottom of the couple’s league. Designed for couples who feel that Mo Salah is the third person in their relationship once the season gets going, the Extra Time offer includes a luxurious overnight stay in one of our decadent Shankly suites. 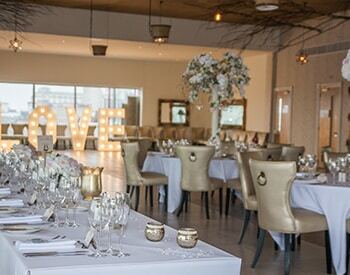 Chose between dining in style with a delicious three-course meal at the Bastion Bar and Restaurant, or indulge in an afternoon tea, complete with finger sandwiches, sweet treats and glass of bubbly. Plus, this spectacular offer includes breakfast the next morning for you and the Boss, and a special couples gift set (But don’t let them get their hopes up to much – it’s not quite a ticket to Anfield). Available between Monday 6 August and Saturday 11 August, this luxurious Shankly experience could be yours for only £169 per couple*. 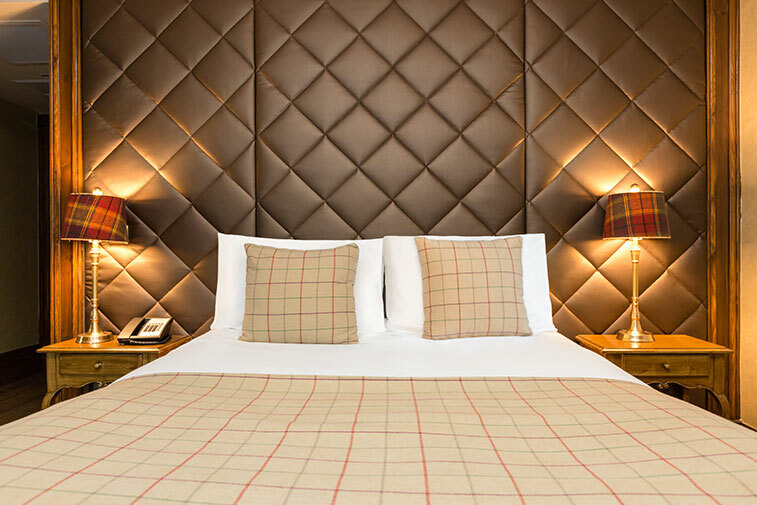 Located in the heart of the city, The Shankly Hotel provides luxurious accommodation celebrating the legacy of Liverpool FC’s legendary manager Bill Shankly. Full of never-seen-before memorabilia, including fan letters, his MBE award and the original LFC contract that the legend signed, the hotel preserves the memory of the famous manager and his renowned footballing career. Each Shankly suite is luxuriously equipped with comfortable double beds, whirlpool Jacuzzi baths, 50-inch plasma TVs, free WiFi and air conditioning. We like to say that a night at The Shankly is an experience, not a stay, with each room inspired by iconic quotes and stories about the legendary manager and his treasured role in Liverpool’s history. The hotel is located on Victoria Street in the heart of Liverpool’s city centre. We’re only a 5 minute walk from Lime Street train station and Moorfields train station. Plus, most of Liverpool’s best landmarks and attractions are just a stone’s throw away. 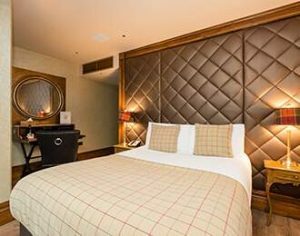 We can’t wait to welcome you to The Shankly Hotel for a night of relaxation and rest with your other half. And we promise we won’t mention the footie when you check in! To book this exclusive offer today, call our team on 0151 909 4805 or email reservations@shanklyhotel.com. For more information, visit the offer page here. *£169 per couple Sunday – Thursday. £219 per couple for Friday stays. The summer holidays have officially arrived and for parents, families and teachers alike and that means the opportunity to spend some quality time together, or away from the little ones. 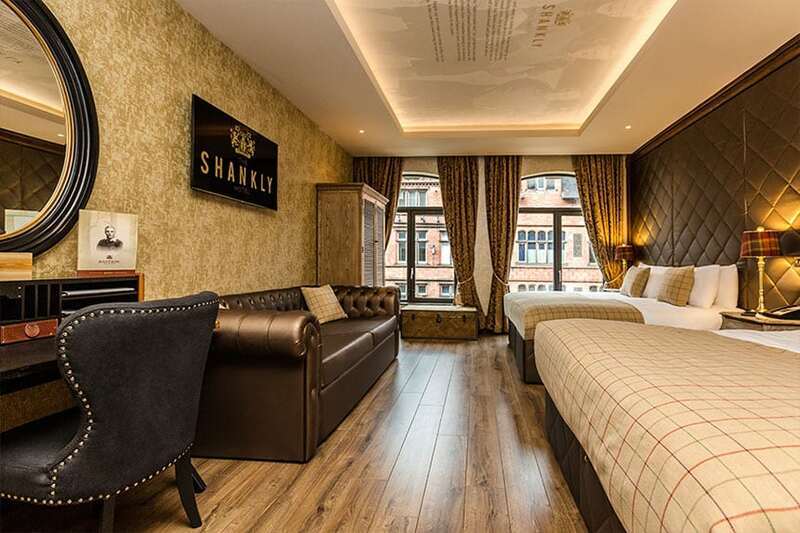 Why not make the most of it using any of these winning accommodation deals we have tailored especially for the summer holidays at The Shankly Hotel? When your usual daytime tranquillity is overrun with children who would usually be at school and you simply need to get away for some you time, pack a bag and book our Peace for Parents Package. You and your better half can leave the minors with a responsible someone and make your way to Liverpool for an evening of peace and quiet for just £159 per couple. Get settled in your luxurious hotel room at The Shankly Hotel complete with a deep double jacuzzi bath to unwind in and enjoy a chilled bottle of fizzy that will be waiting for you on arrival. 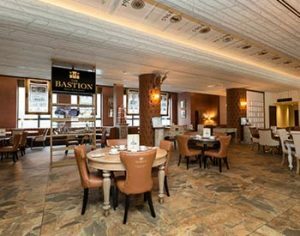 When you are on your way to full relaxation take a seat in the comfortable atmosphere of The Bastion Bar and Restaurant where you can enjoy a tasty three-course meal without having to cook it or do the dishes afterwards. A real treat. Then the rest is up to you. 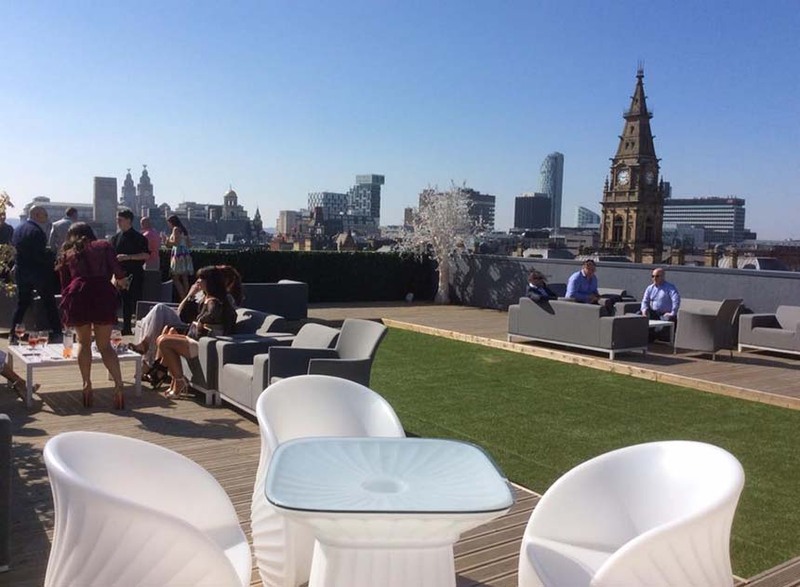 Make your way into the city centre of Liverpool to taste some of the city’s vibrant nightlife or enjoy a nightcap whilst you and parent number two enjoy the unobstructed views of Liverpool’s majestic skyline from The Garden of Eden. 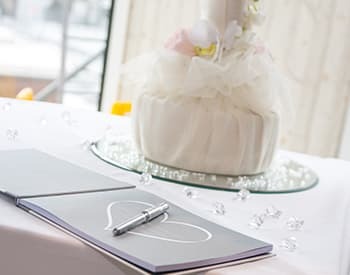 A buffet breakfast awaits the following morning and if you are still not ready to go back to the family another night and breakfast is yours for just £69 extra. 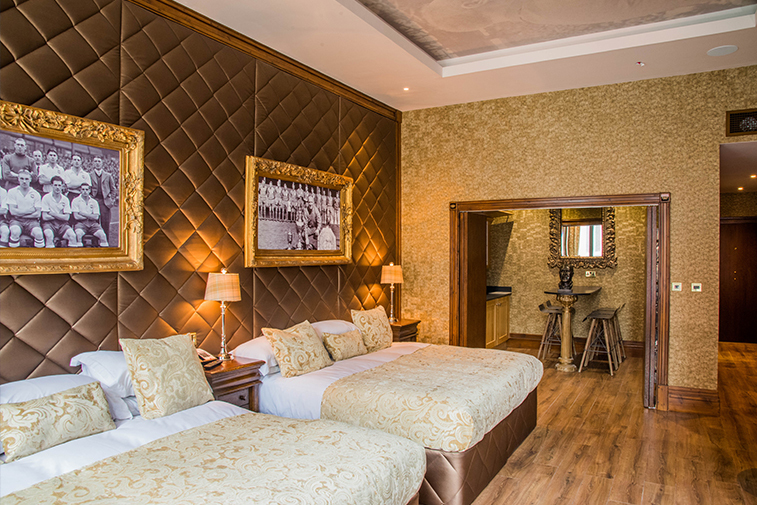 The perfect breakaway for two tired parents at The Shankly Hotel made possible with one of our amazing accommodation deals for summer. Leave no day wasted this school summer holidays and make the most of your family time together at The Shankly Hotel with our Ultimate Family Getaway. See what new things you and the family can discover this summer in Liverpool during a stay at The Shankly Hotel. Our summer holiday accommodation deals were built to make sure everyone could enjoy the very best school holidays from inside the very best Liverpool hotel. The break begins by checking into one of our spacious family suites at The Shankly Hotel where treats for the little ones will be waiting. 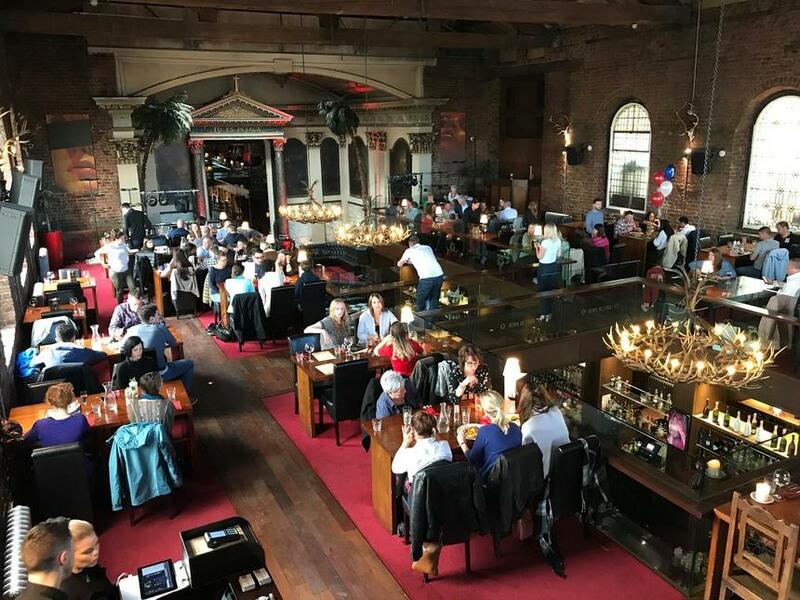 Then get the family sat down around one of the tables inside The Bastion Bar and Restaurant where you can all enjoy delicious Shankly Burgers and mocktails before heading off to the cinema to check out the latest big-screen blockbuster at Liverpool One ODEON. Everyone can then enjoy a cosy nights sleep inside the luxury family suite and wake up to enjoy a hearty full buffet breakfast. These amazing family accommodation deals for the summer holidays won’t even break the bank as prices are £60 per adult and £40.00 per child. 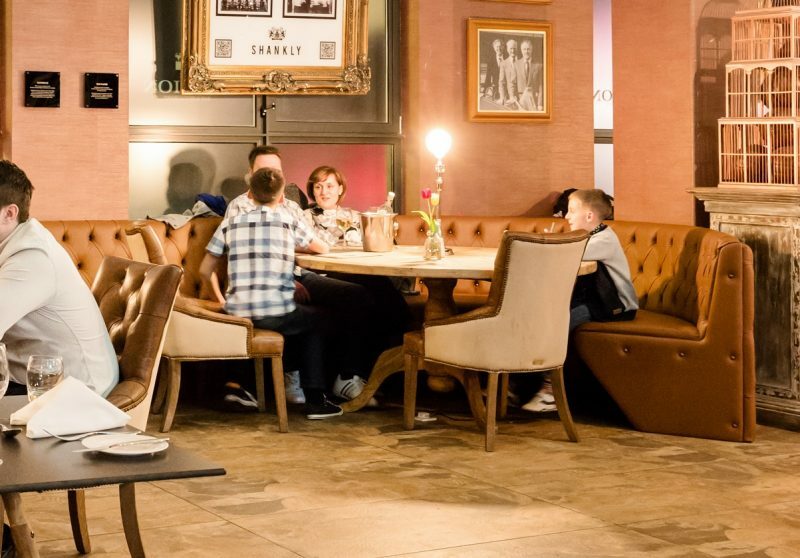 A minimum of two adults applies to the offer, making this a superb way to spend family time and your pennies this summer at The Shankly Hotel. Now’s the time to take it easy teachers. The summer holidays have arrived and even though we know you’ve got a lot of marking and lesson planning coming up take a break and enjoy some well earned R & R at The Shankly Hotel. We’ve tailor-made some very special accommodation deals this summer just for those who guide and nurture the minds of our youngsters. It’s about time you teachers had a little fun after all school’s out for summer. Start by switching off and checking into one of our luxurious Shankly Suites with 2 or more of your faculty friends. Bring as many of your teacher friends along to take advantage of these awesome accommodation deals this summer for just £99 per teacher. This is your time to chill and just like the kids you teach, have a little fun during your longest holiday of the year by booking your and your teacher friends on one of these spectacular accommodation deals this summer. Simply call our friendly reservations staff an let them know which of the accommodation deals you’d like to book this summer. Our offers can be tailored to your requirements so if you’d like to check out some of the other amazing Signature Living restaurants, bars and hotels during your break let our team know and they can make the necessary arrangements. Reach the team today on 0151 601 8801 or email info@signatureliving.co.uk. All our summer accommodation deals are only available Sunday-Thursday and subject to availability. Why not enjoy the summer holidays in style and throw the ultimate celebration? To help you decide the perfect package for you, check out these fabulous teen party ideas and say bye bye to school in the best way. 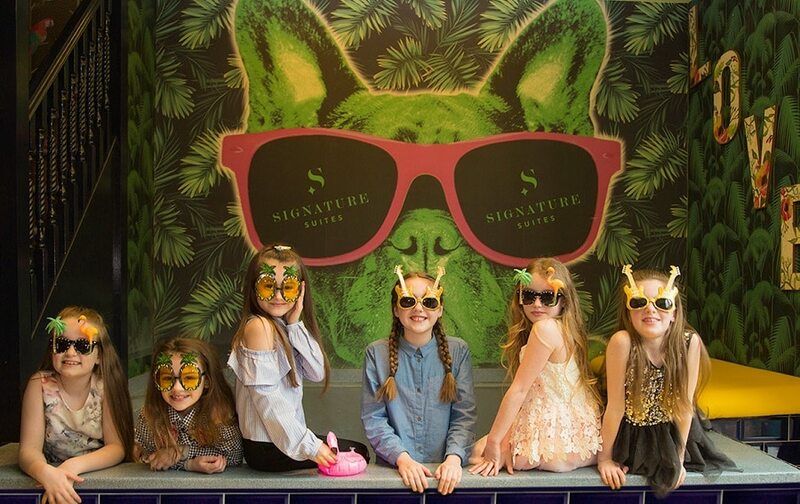 From fun flamingo themed pool parties, to the ultimate teen package and celebrations fit for princesses, at The Shankly Hotel we’ve got everything you need to host an unforgettable party for you and your friends. So, check out what’s on offer and start planning the best summer holidays ever! 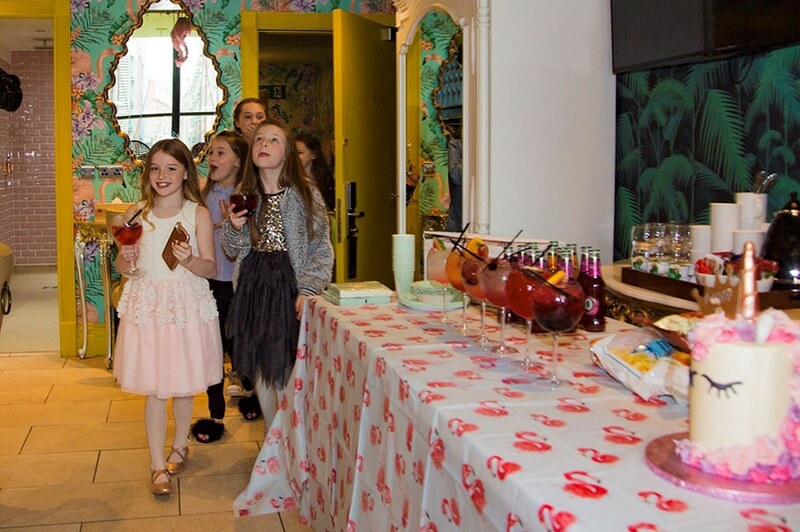 Why not invite your best friends to the ultimate flamingo themed party and enjoy a colourful celebration in the heart of Liverpool city centre with our Flamingo Fun offer. This fabulous offer includes a luxurious overnight stay in our vibrant Flamingo suite, in The Shankly Hotel, decorated with fun inflatables to enjoy in the wonderful pool. You and your party can tuck into flamingo themed cupcakes, tasty pink treats and your very own bartender will serve you some of mouthwatering fruity mocktails! Be a flamingo in a flock of pigeons! This amazing offer is available Monday – Thursday, based on 12 guests and ends before the 1st September. School’s out for summer! So, if you’re searching for some amazing teen party ideas, look no further than our Ultimate Teen Package. Perfect for birthday parties, big occasions or just to celebrate not having to go to school for 6 weeks, this marvellous offer is made for teens who love to have fun! Grab your very best friends and enjoy a glamourous overnight stay in one of our famous suites, decorated with balloons and banners. There will also be some tasty cupcakes waiting for you when you arrive, to really get the party started. This wonderful deal also includes a pamper party with hair or make up done by a professional makeup artist or hairdresser, so you can look your very best for all those selfies! The next morning, wake up all together and tuck into a yummy breakfast buffet in our stunning restaurant. Indulge in this ultimate teen package soon, as it’s only available until the end of August. One of the best teen party ideas going, our fabulous Princess Birthday Bash is perfect for a little angel looking for a magical birthday celebration. 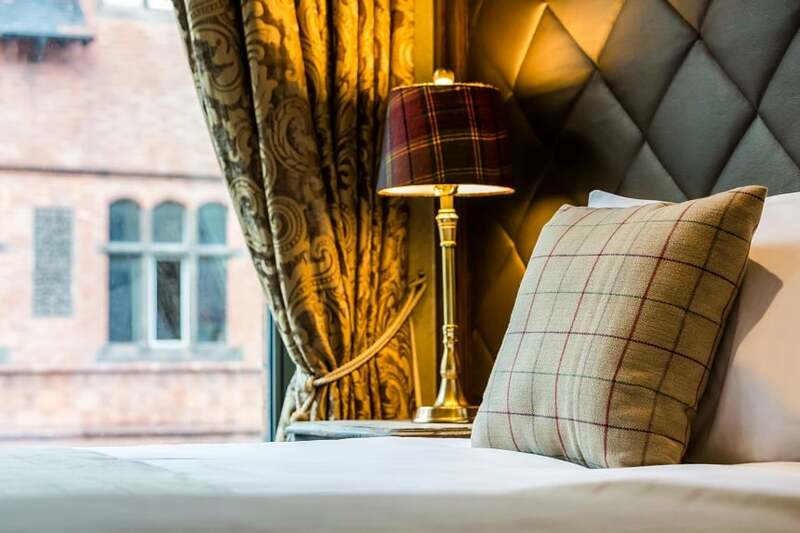 Enjoy a fun overnight stay in one of our amazing themed suites, set within the luxurious Shankly Hotel, in the heart of Liverpool city centre. Your spectacular rooms will be decorated with princess banners and balloons, so you’re guaranteed to have the best birthday ever! There will also be delicious princess themed cupcakes and tasty party food for you and your guests to enjoy. Our amazing offer includes everything you’ll need for an unforgettable occasion with your best friends and all the family. If this sounds like one of the best teen party ideas ever, book now as this offer is only available until the end of August. 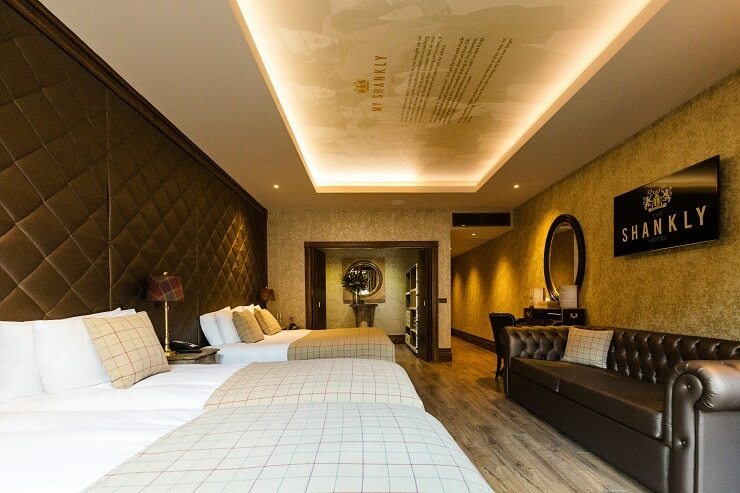 The Shankly Hotel is one of Liverpool’s best and most luxurious hotels. 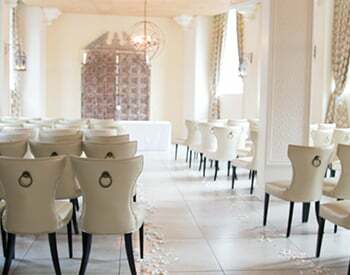 Set in the city centre, this beautiful hotel is the ideal place to host an unforgettable party with your friends. From the famous Bastion Bar and Restaurant, to our unique accommodation that sleeps large groups all together, our hotel is truly one of a kind. We hope you’ve enjoyed our rundown of the very best teen party ideas that you and your friends could enjoy. If you’d like to book, or you need a little bit more information, get in touch with our friendly team today on 0151 236 0166.